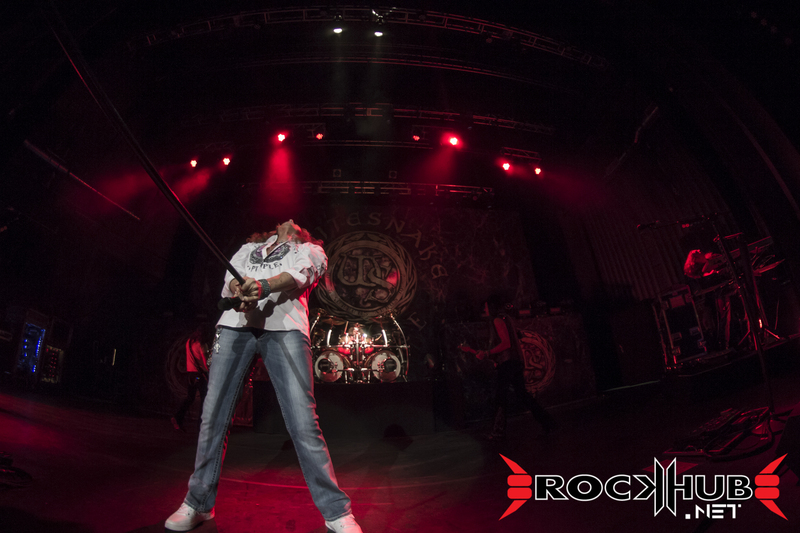 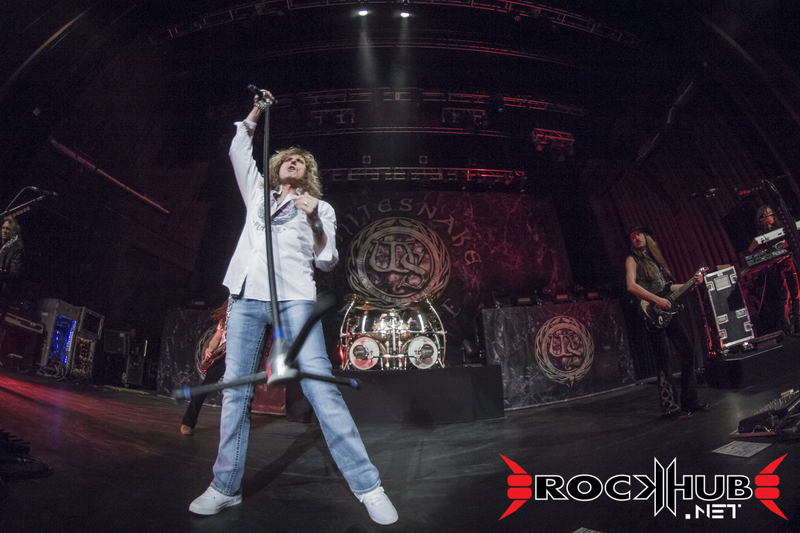 I have been very much a Whitesnake fan long before I became a concert photographer. 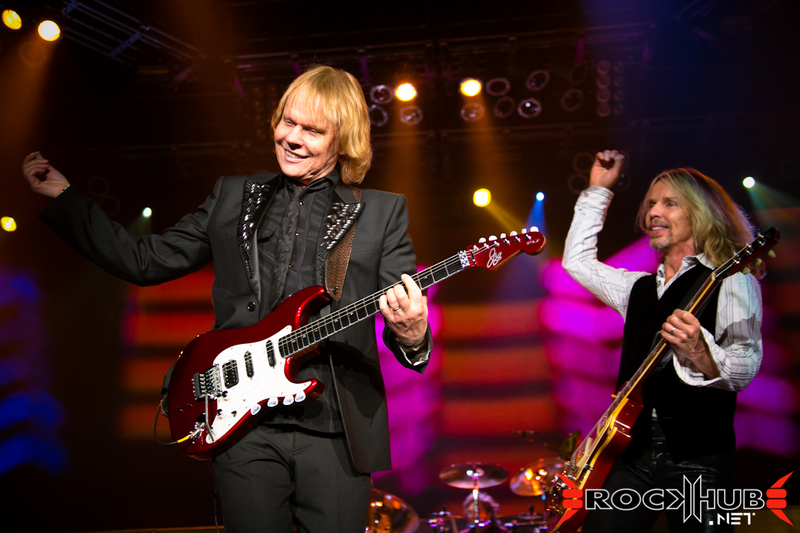 Some of their songs have been faithful companions throughout different stages of my life. 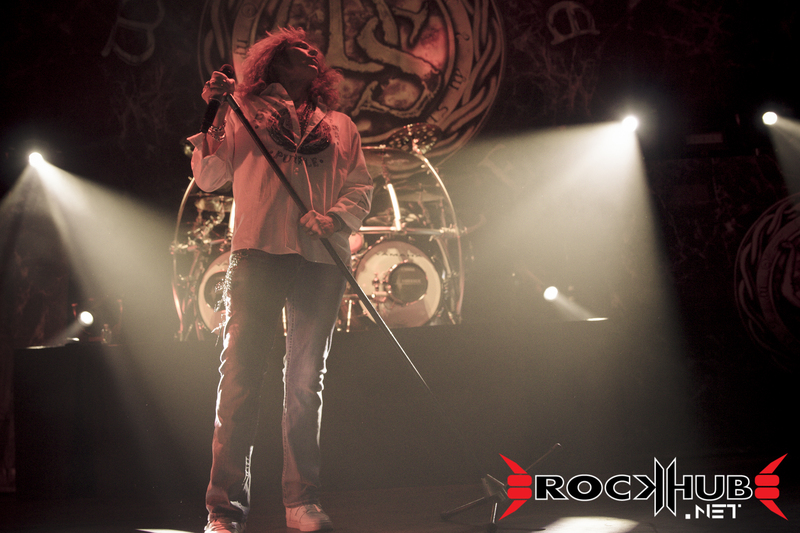 I have been witness to the band’s progression through the years. 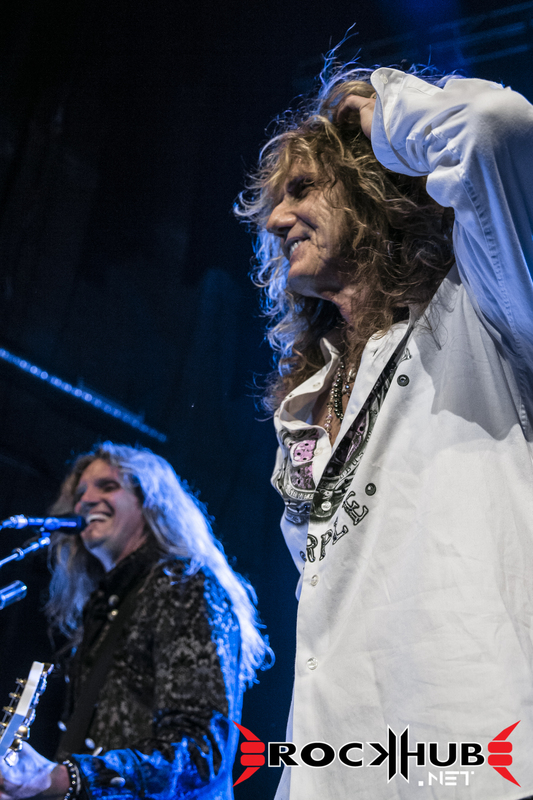 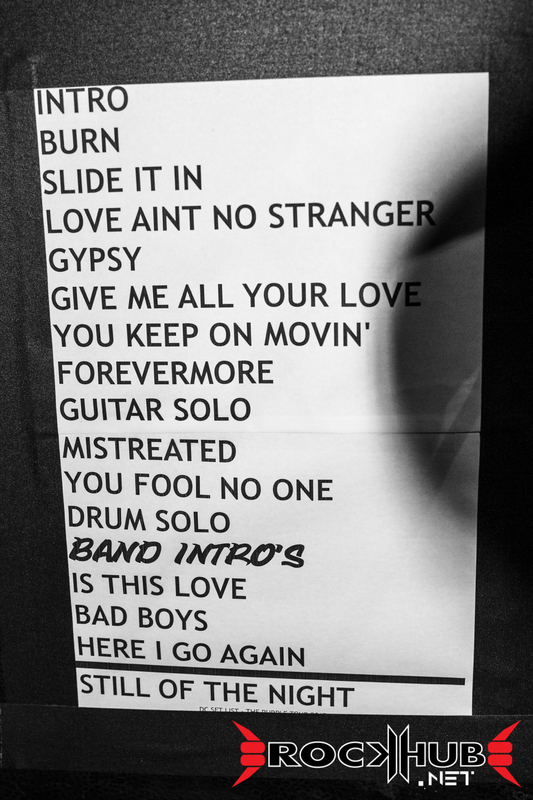 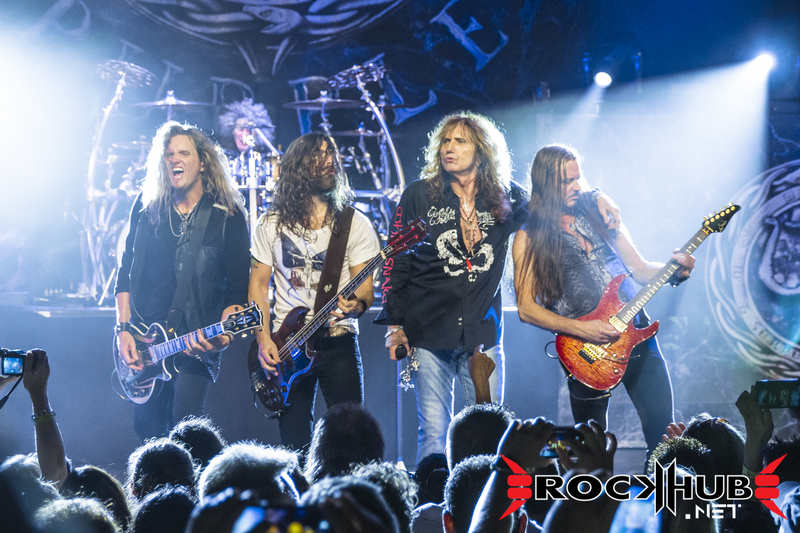 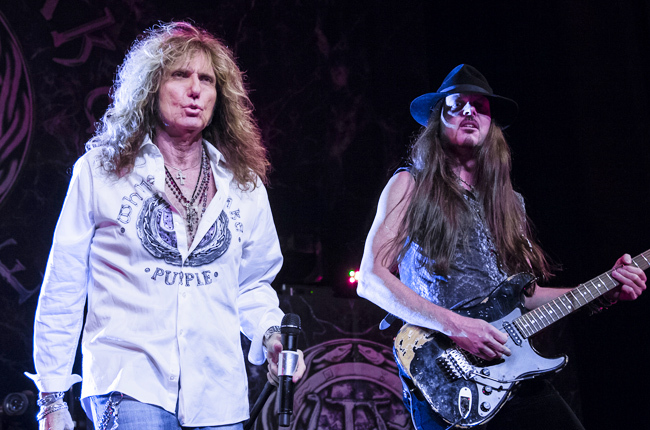 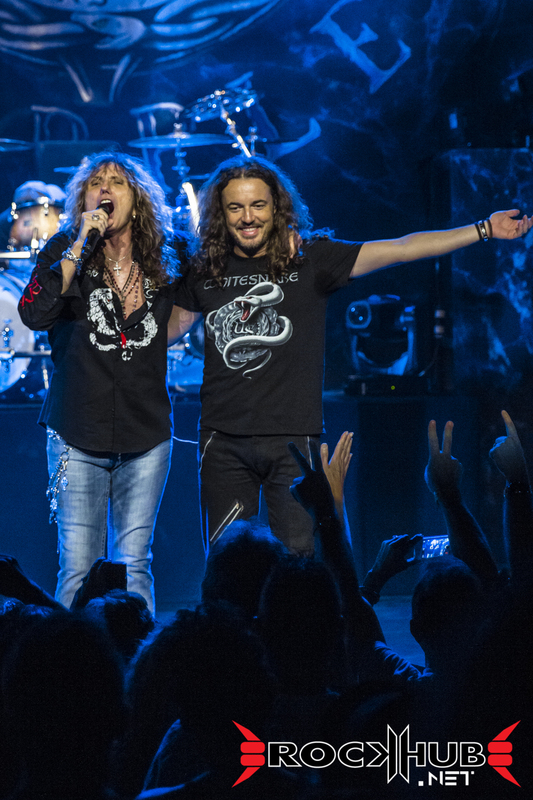 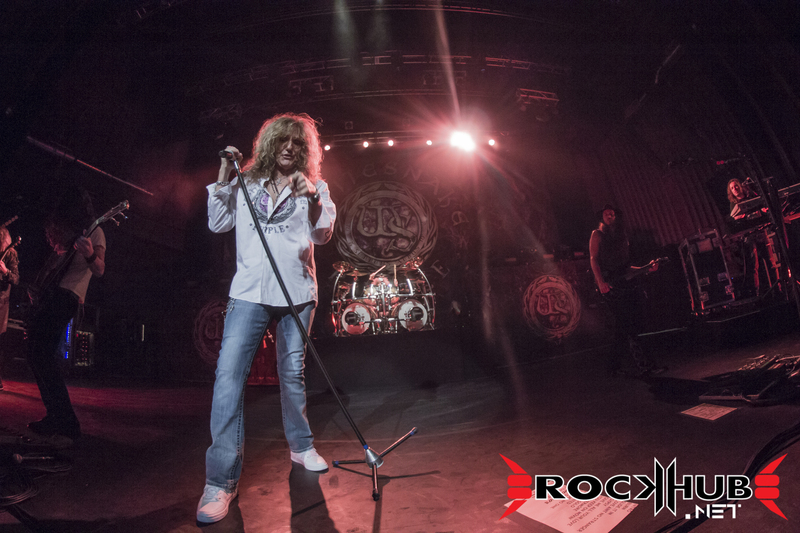 I must say that Mr. Coverdale has currently assembled a spectacular set of musicians for this tour. 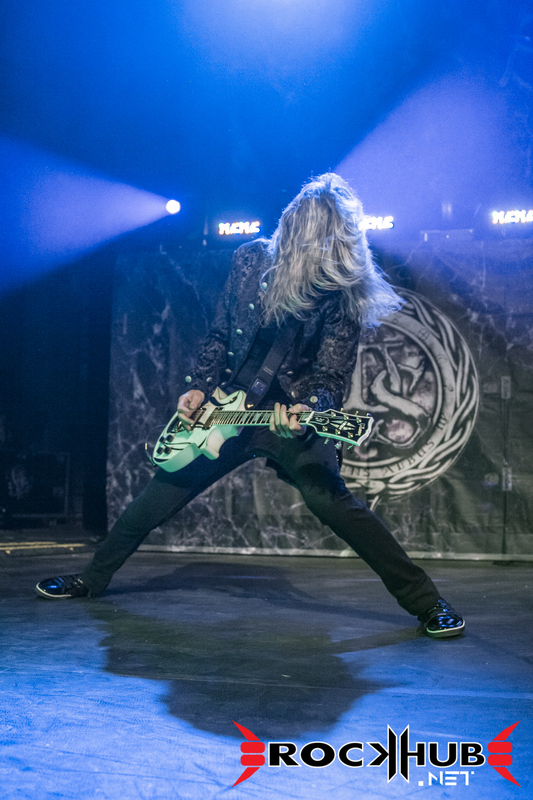 And he, himself does not fall behind, either. 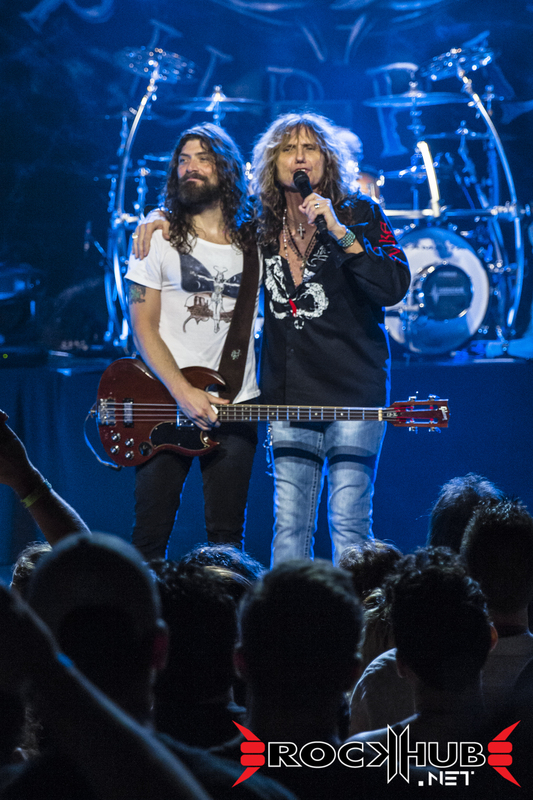 More on this later. 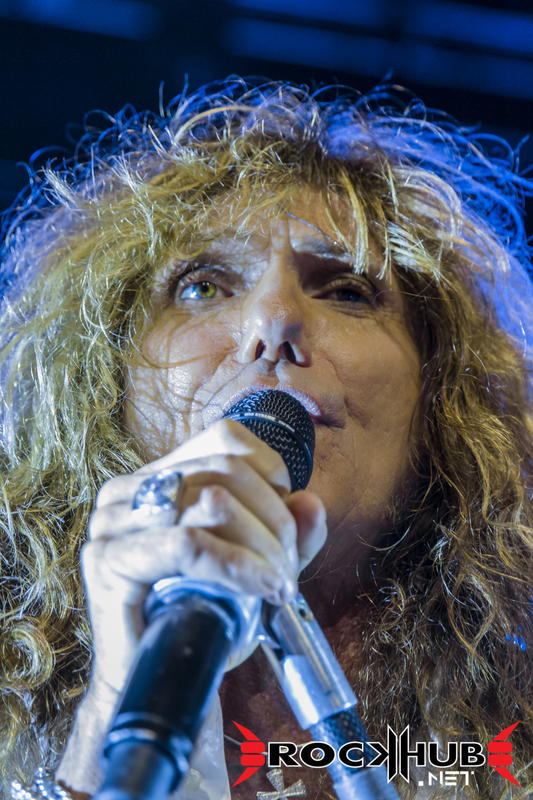 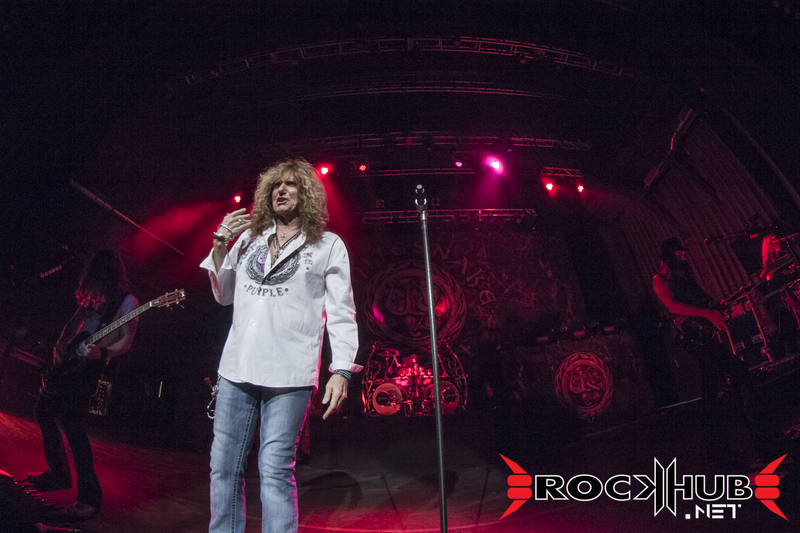 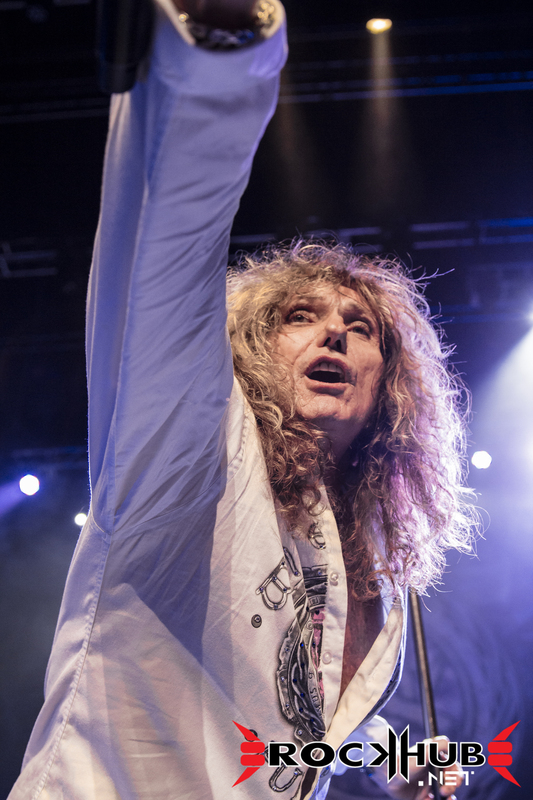 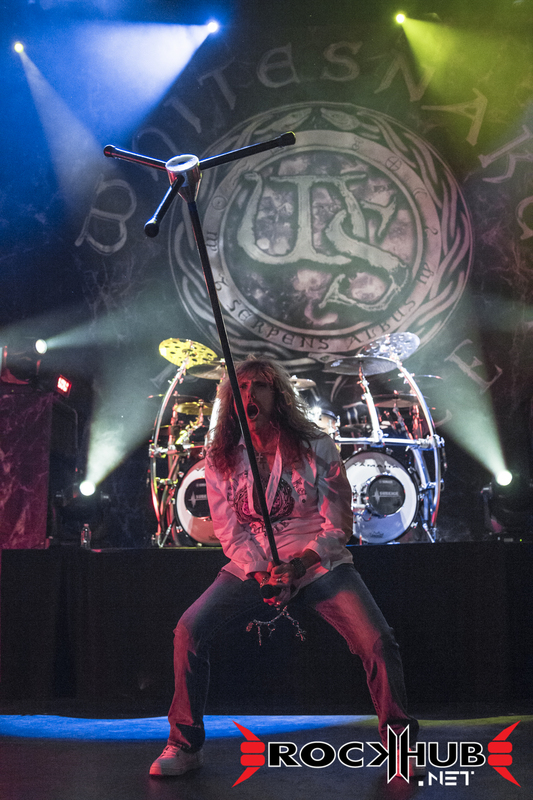 First of all, I would like to personally thank Mr. Coverdale for his concern for my safety when his microphone stand passed just inches away from my camera lens at the very beginning of the show, as captured on photo #6 of the image gallery below. 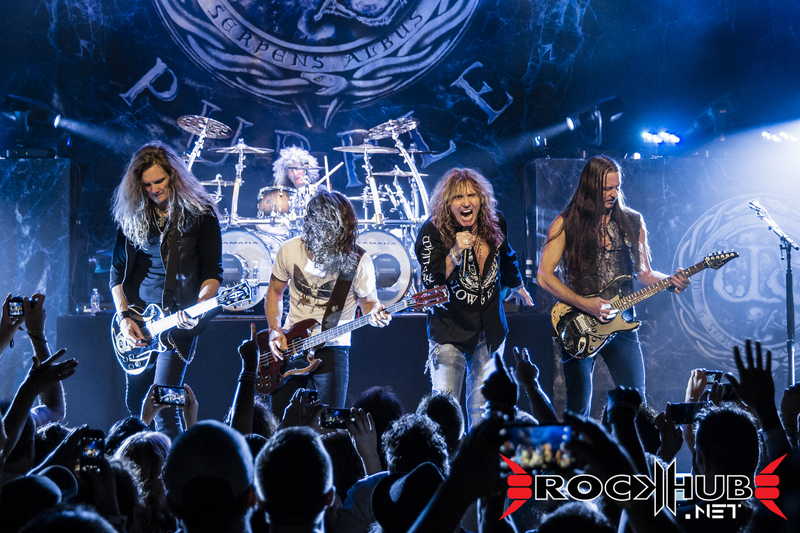 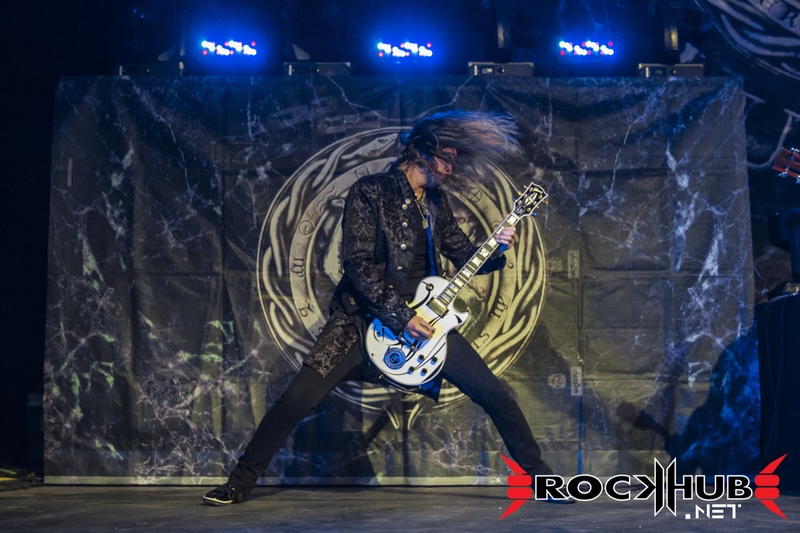 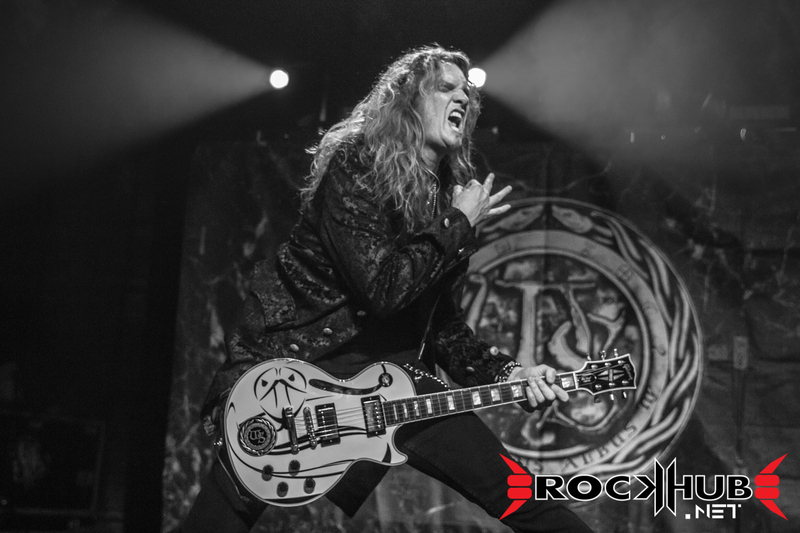 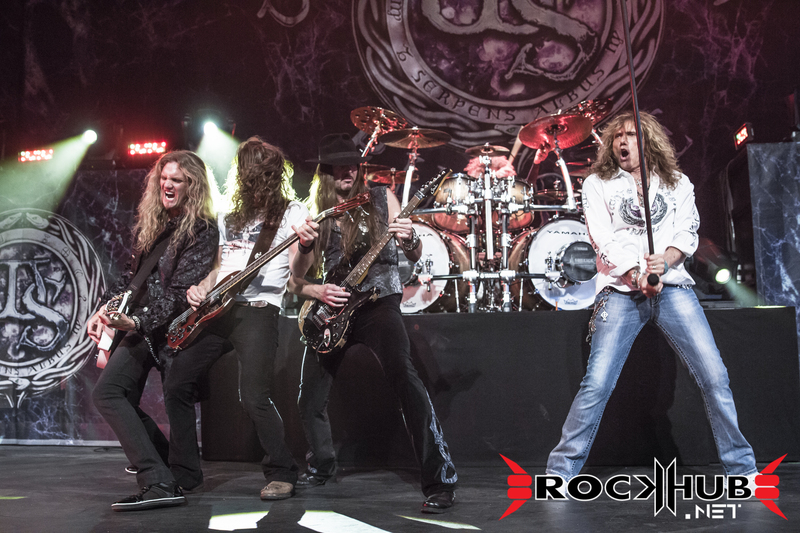 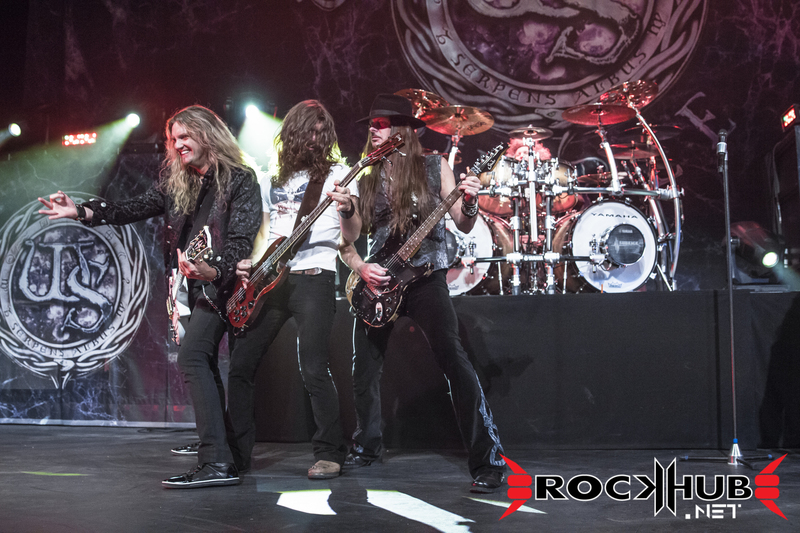 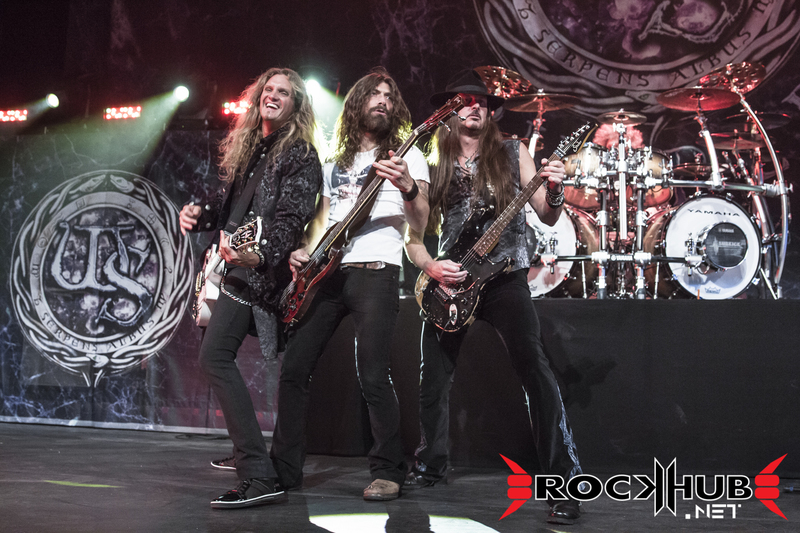 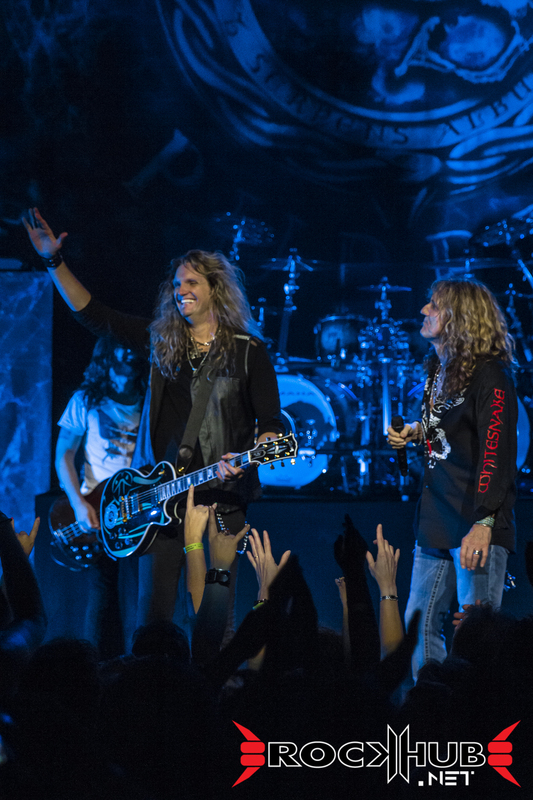 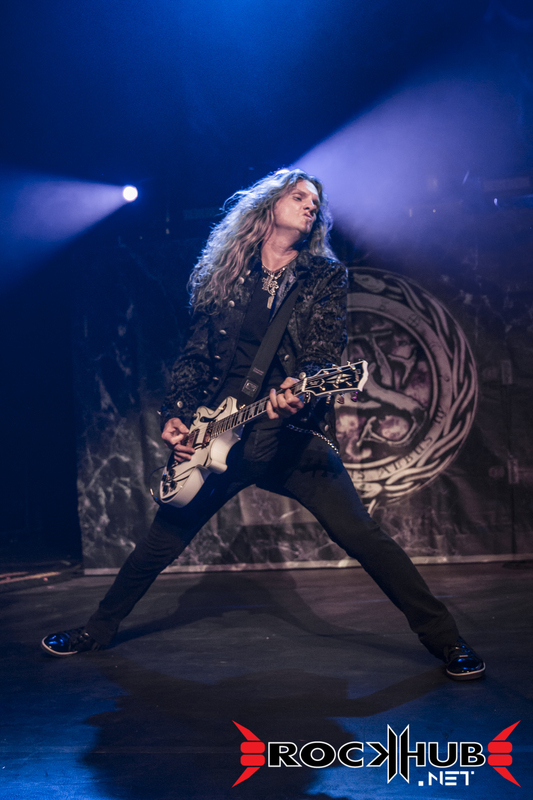 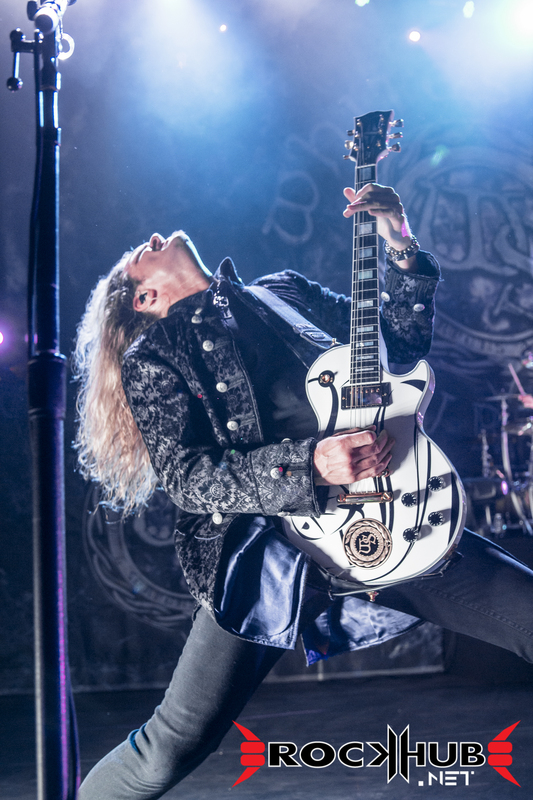 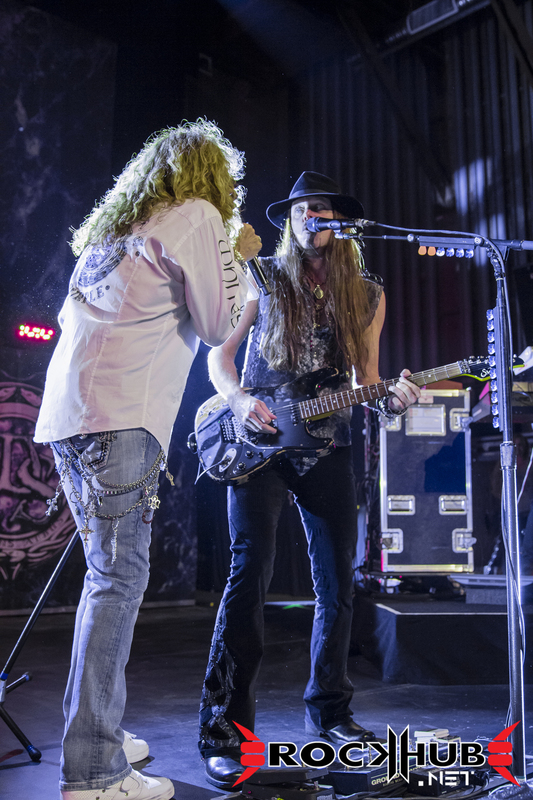 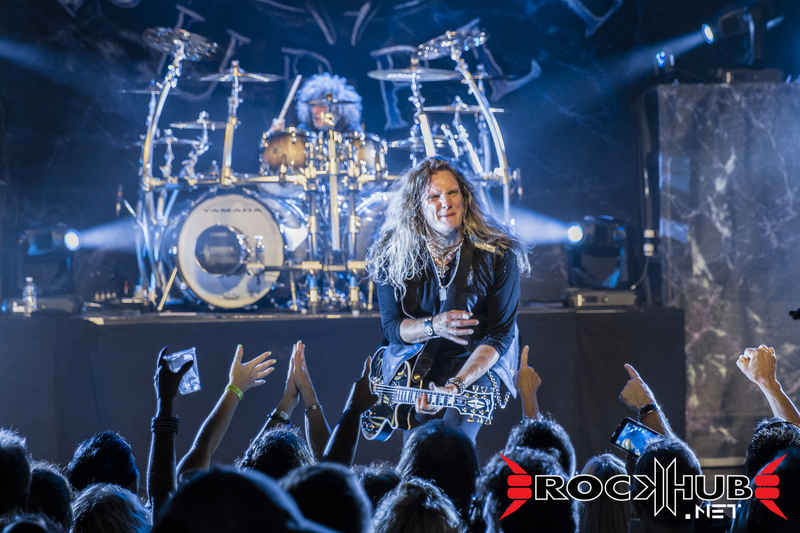 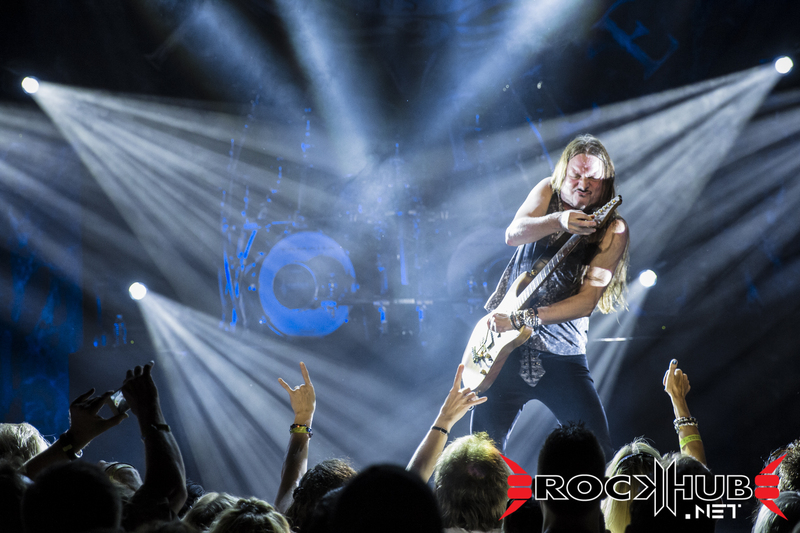 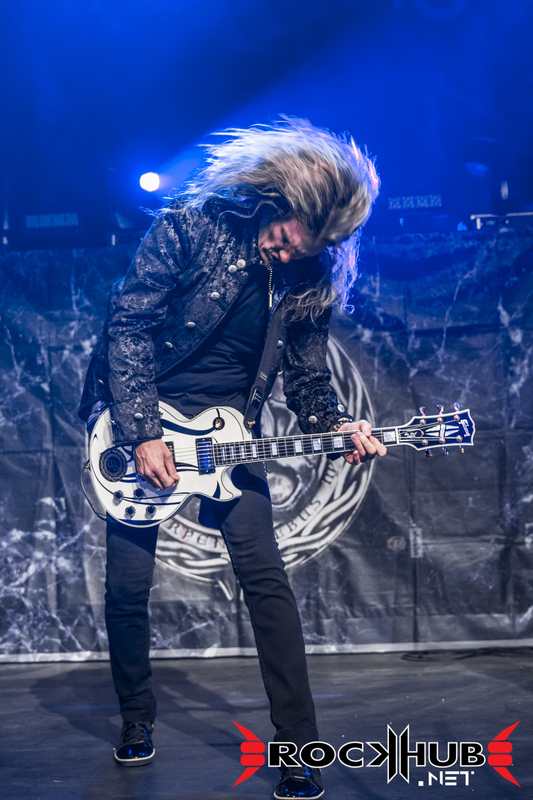 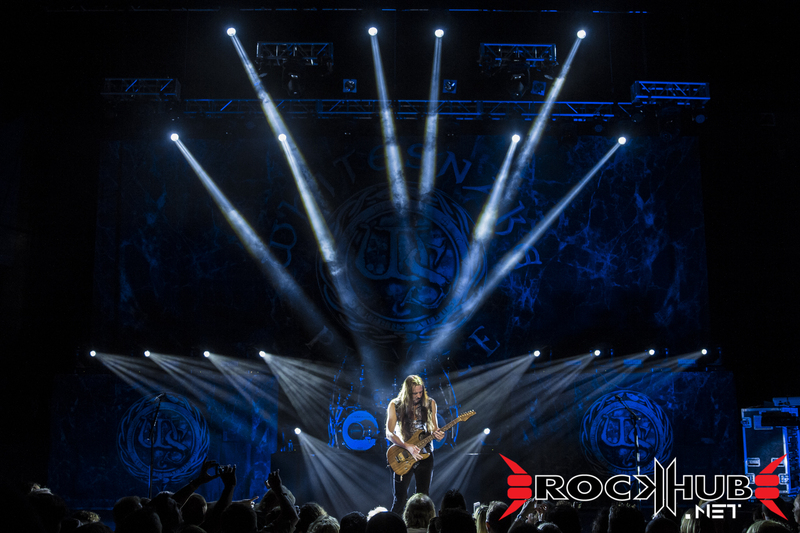 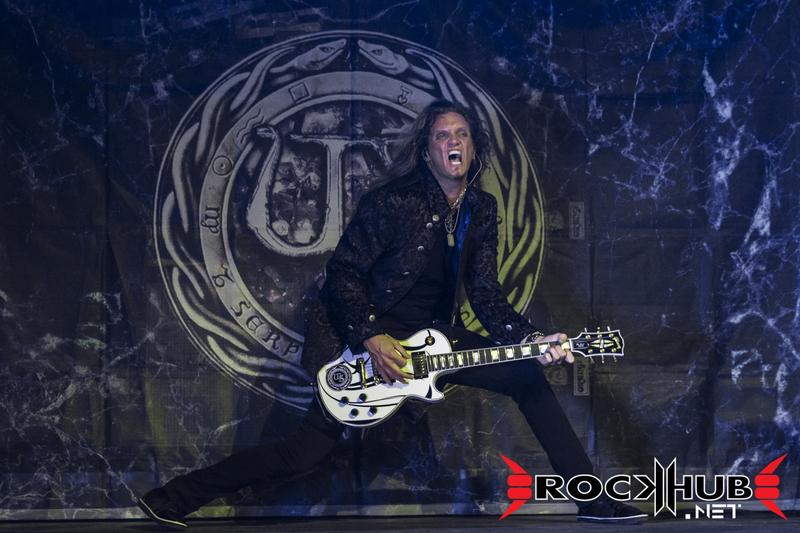 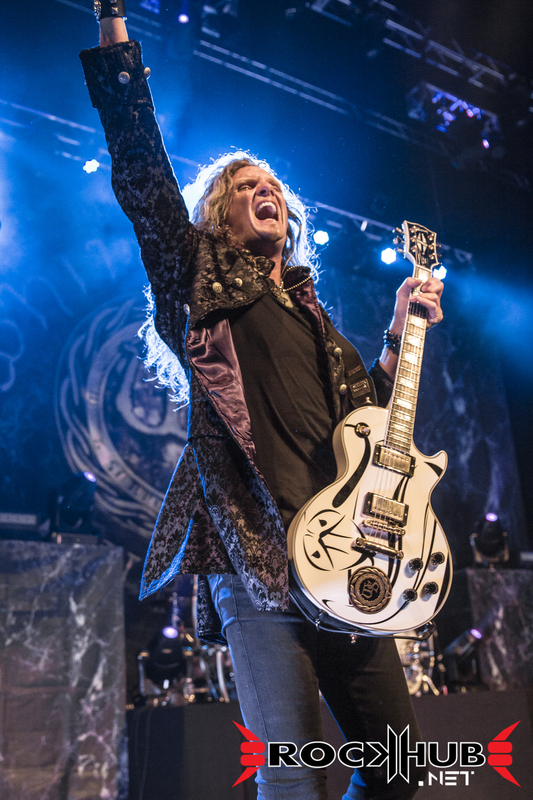 Joel Hoekstra is an excellent addition to the band’s roster. 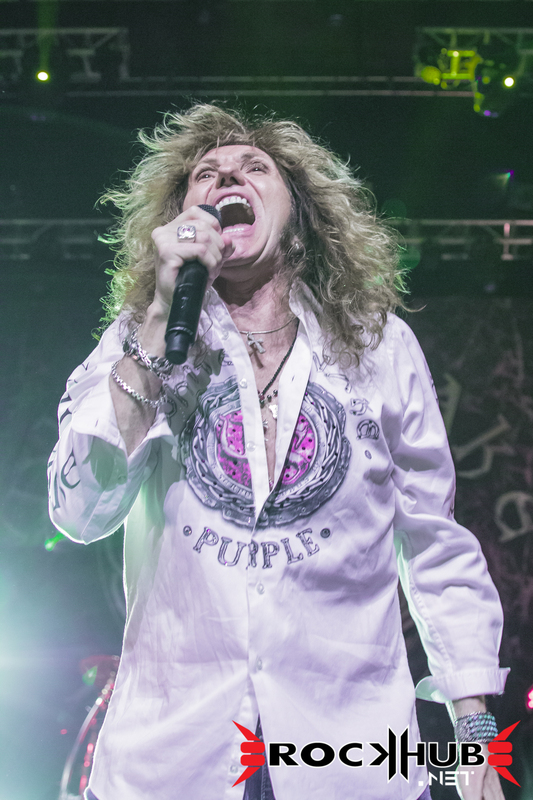 He is such a phenomenal musician, who brought much intensity and fierceness to the performance. 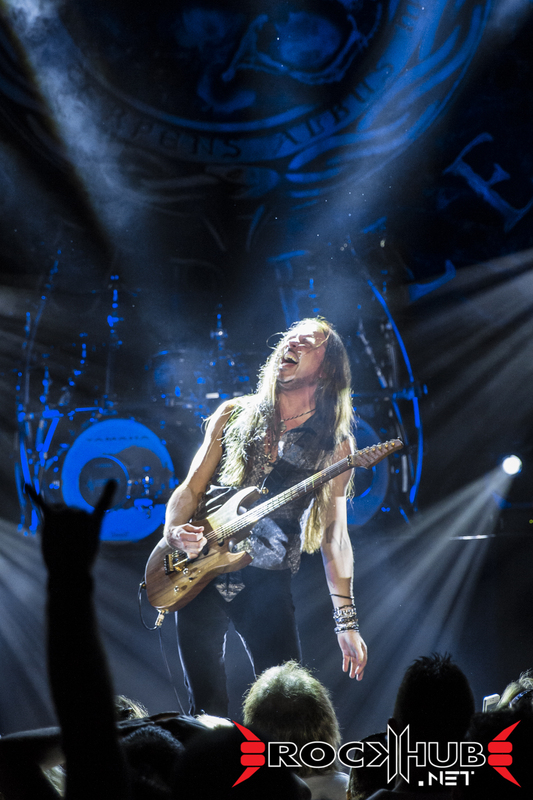 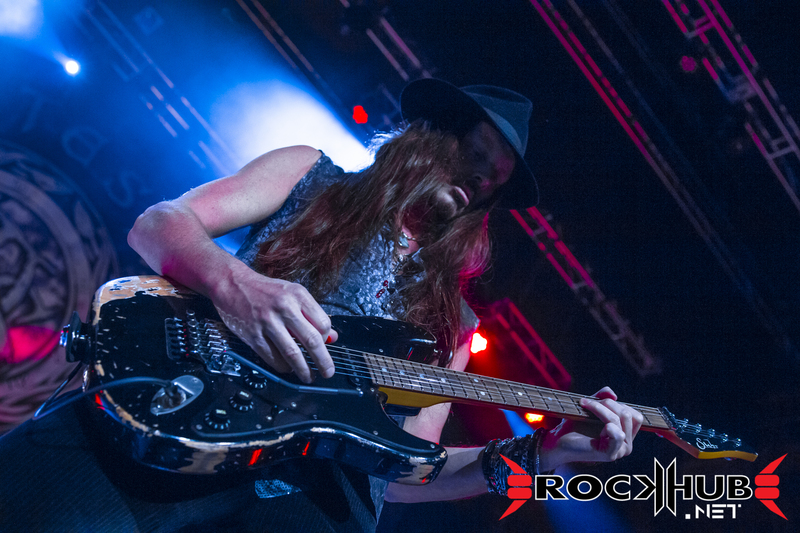 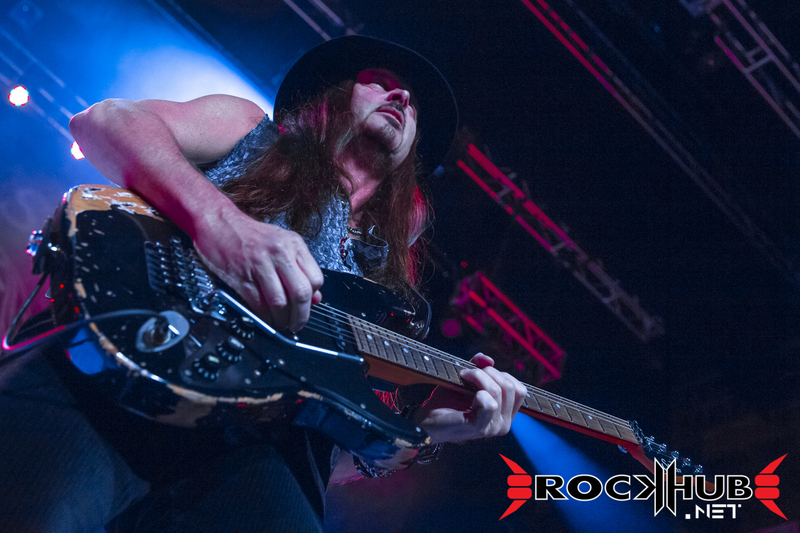 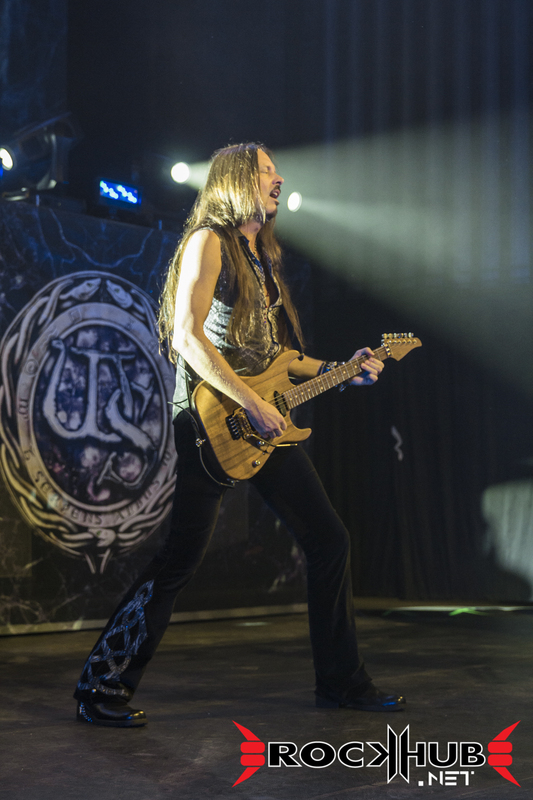 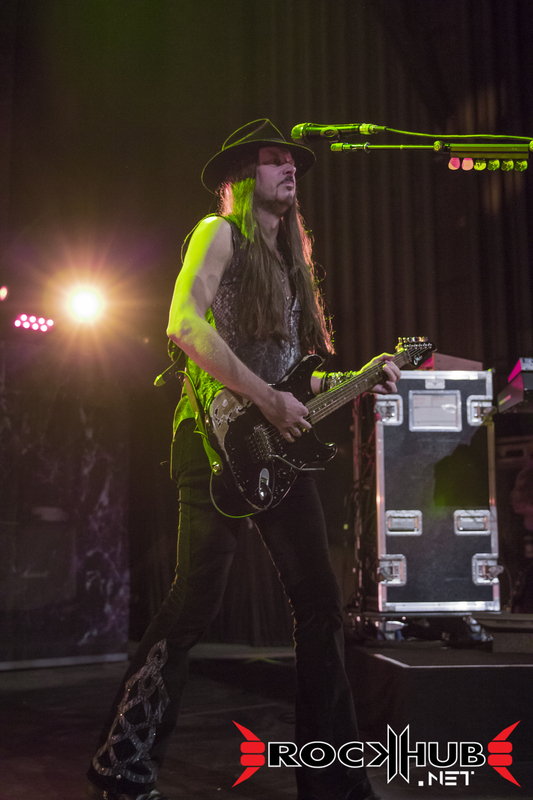 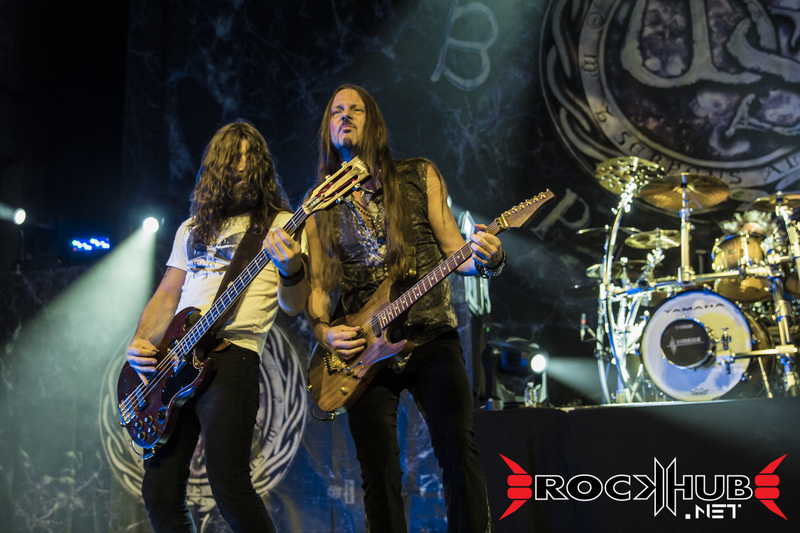 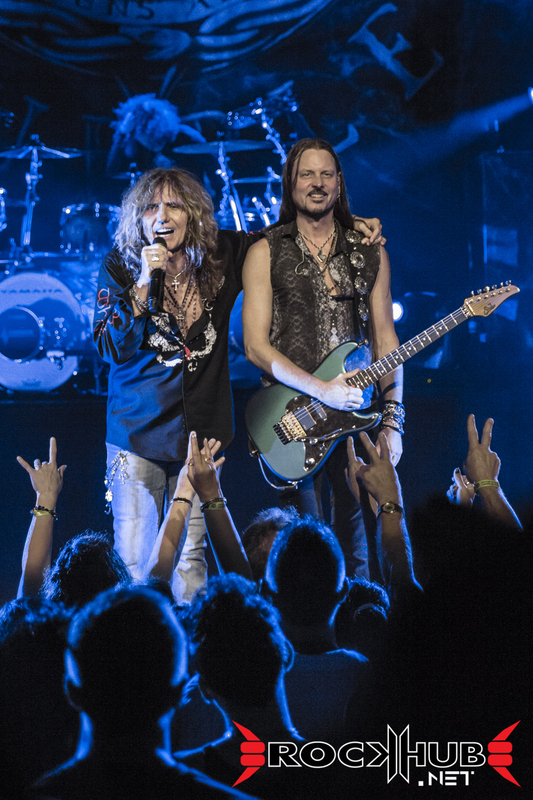 And of course, there are not enough words to describe how unbelievably talented Reb Beach is. 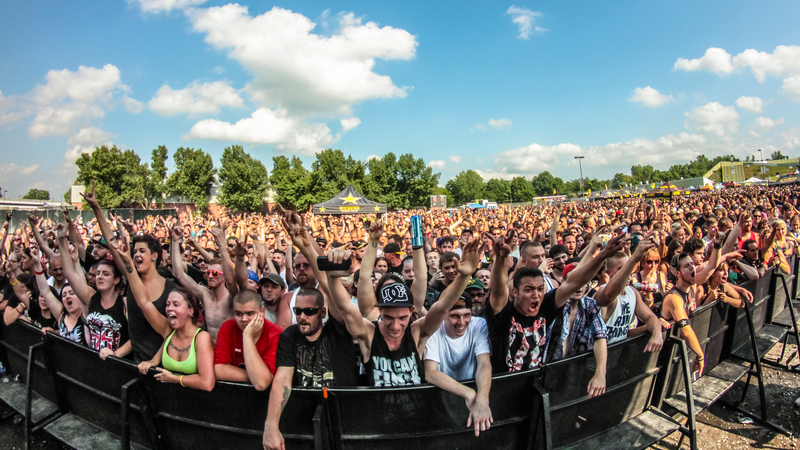 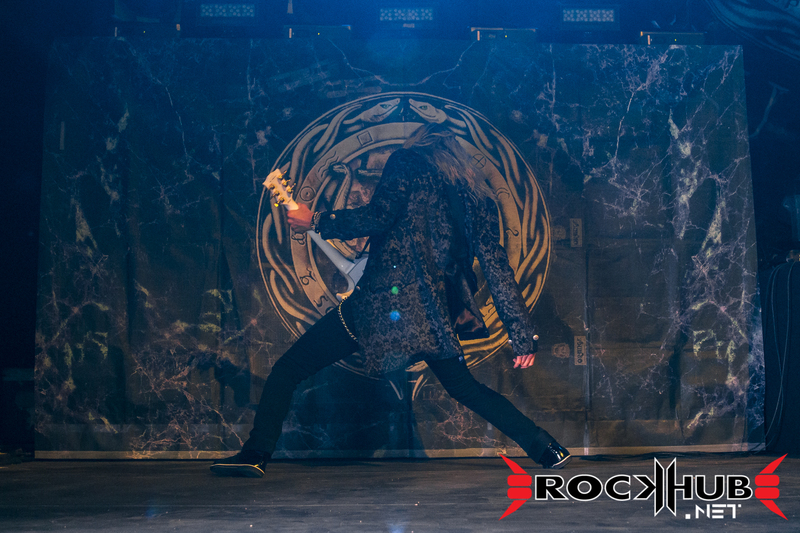 Any doubts about the new addition that the crowd had prior to the show just melted away. 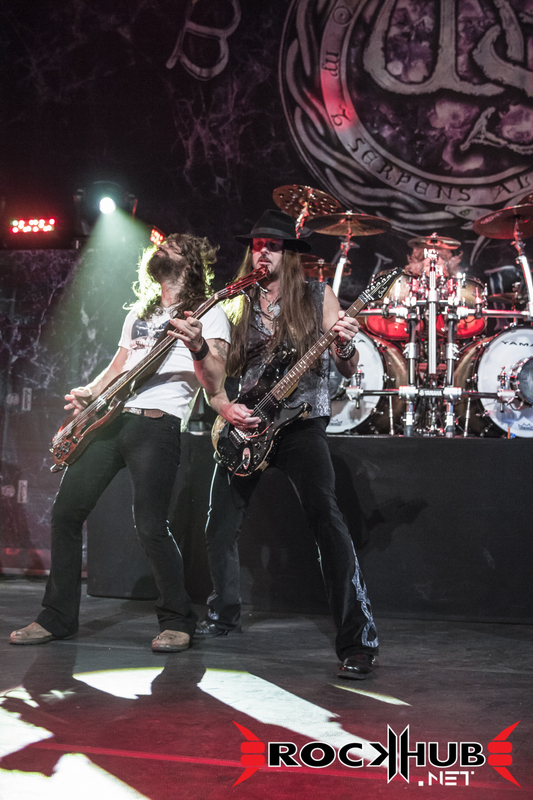 The back-to-back guitar solos from these two titans drew big cheers and many praises. 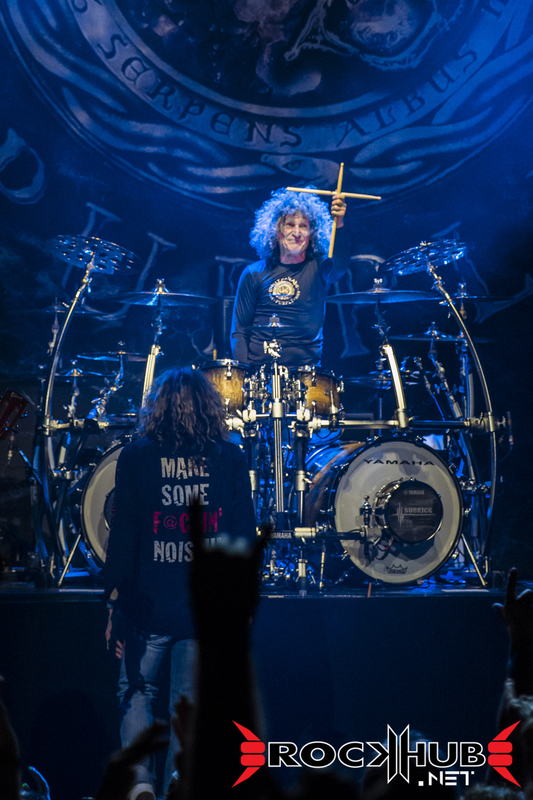 Not trailing too far behind, the band’s rhythm department has its own stars as well. 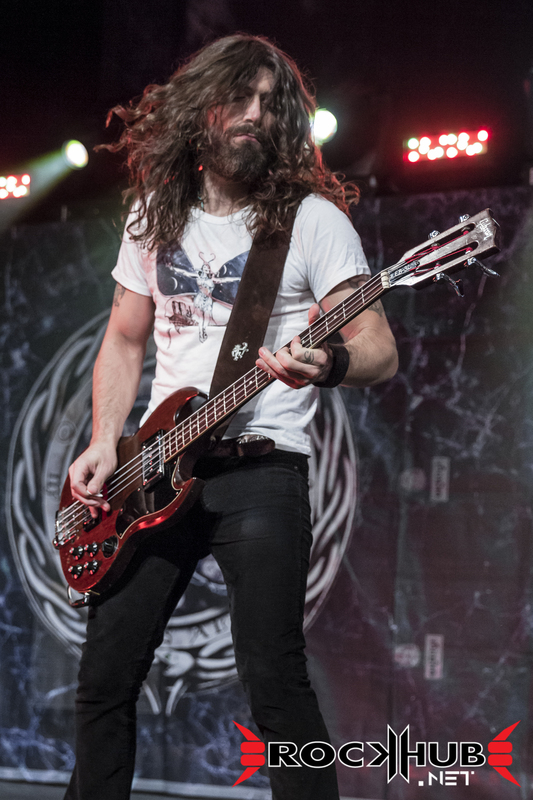 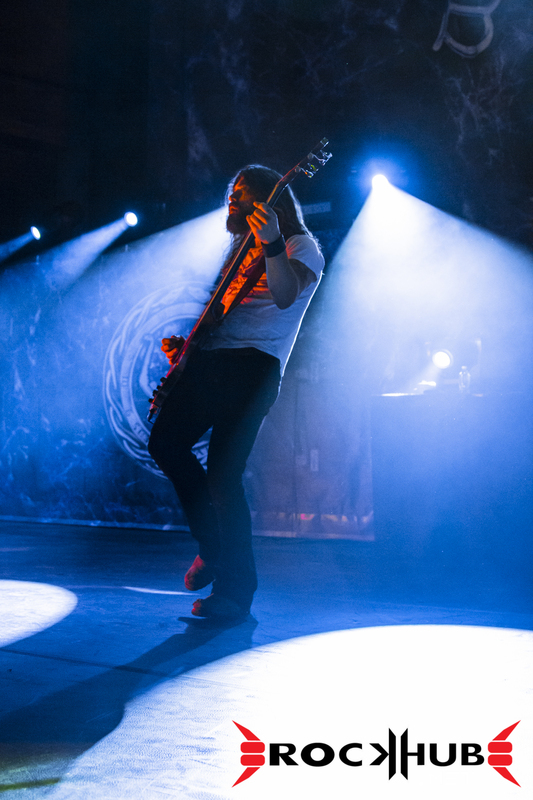 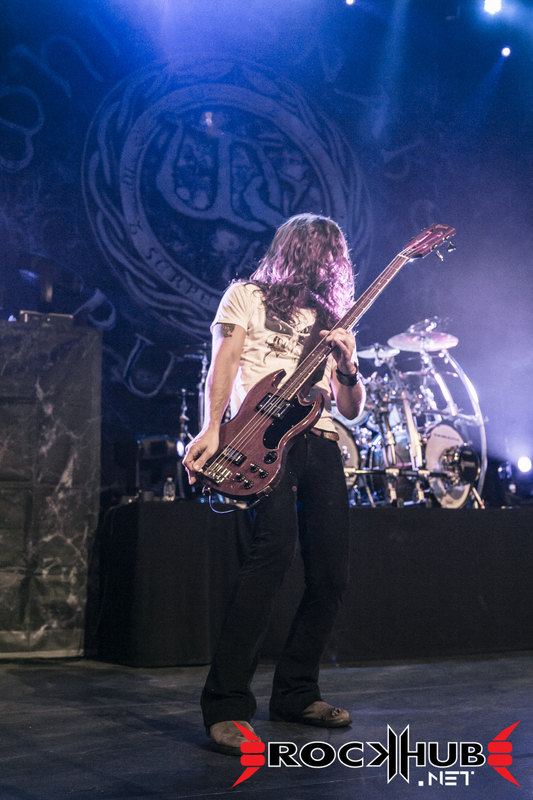 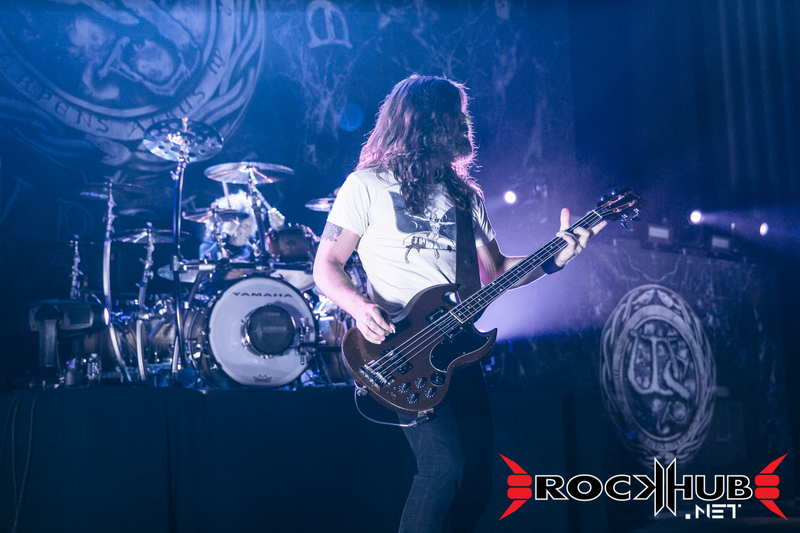 Michael Devin’s youthful energy and intensity on bass guitar is an asset to the group. 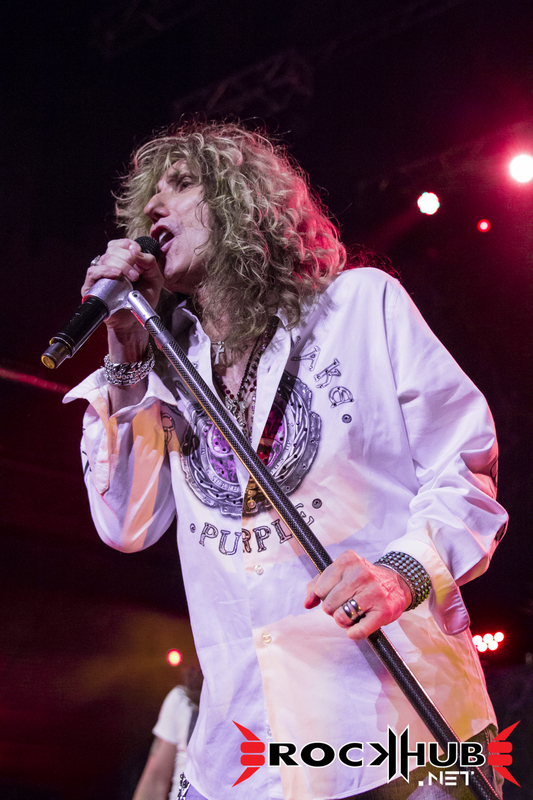 He kept the grooves groovin’ all night long. 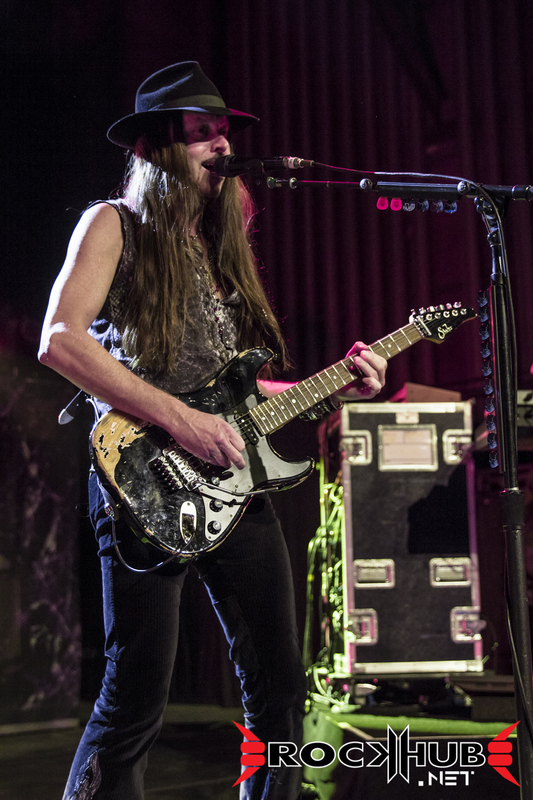 But watching one particular member play was a treat for me. 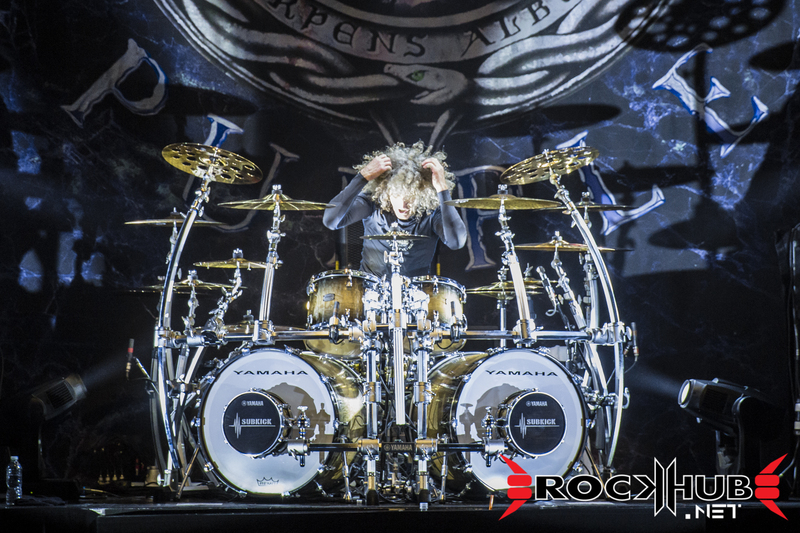 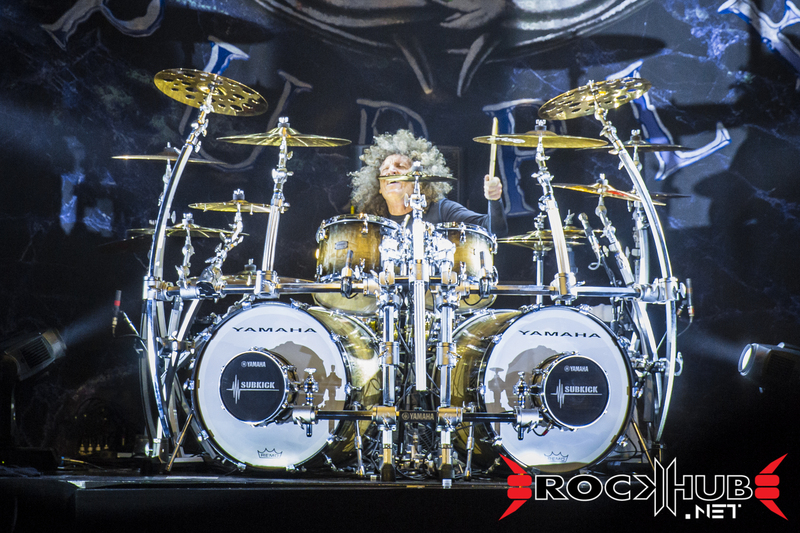 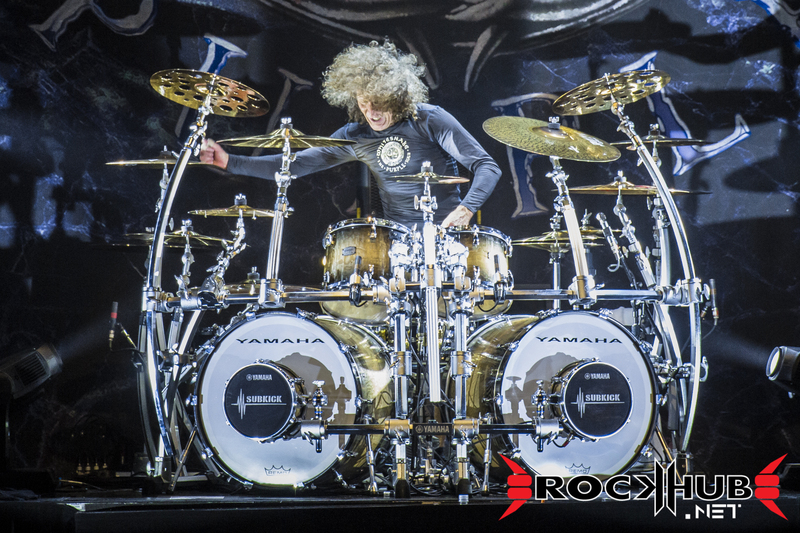 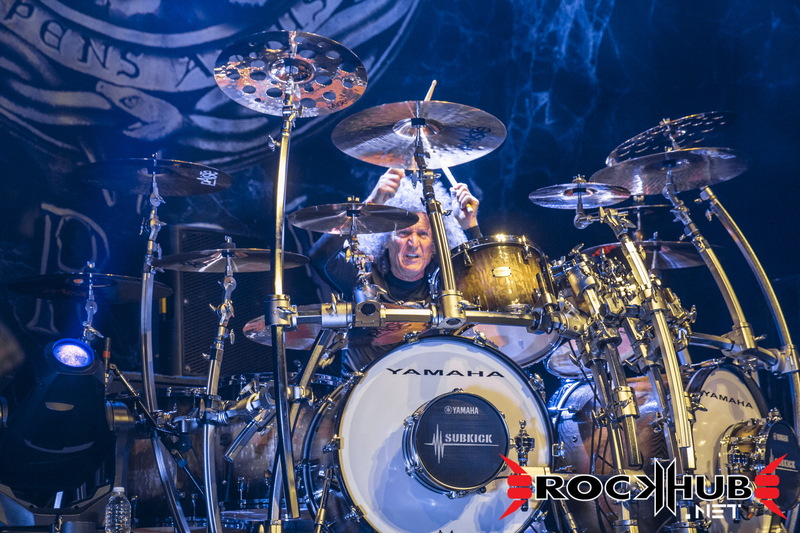 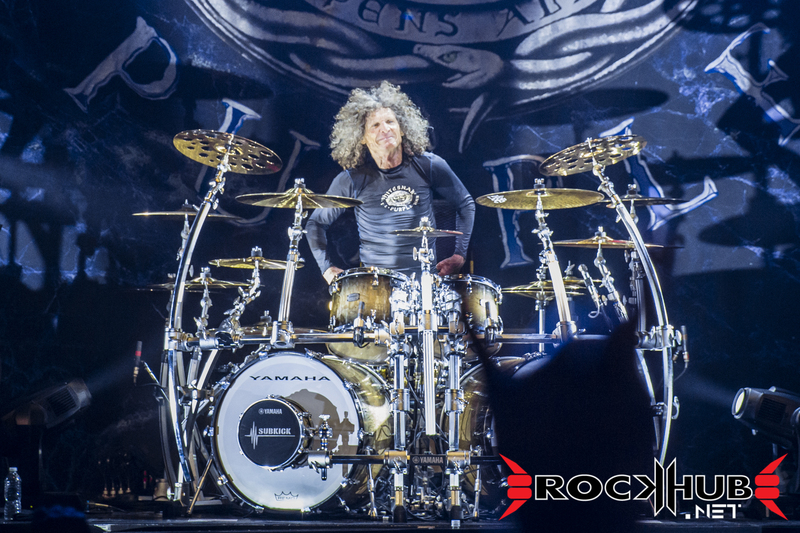 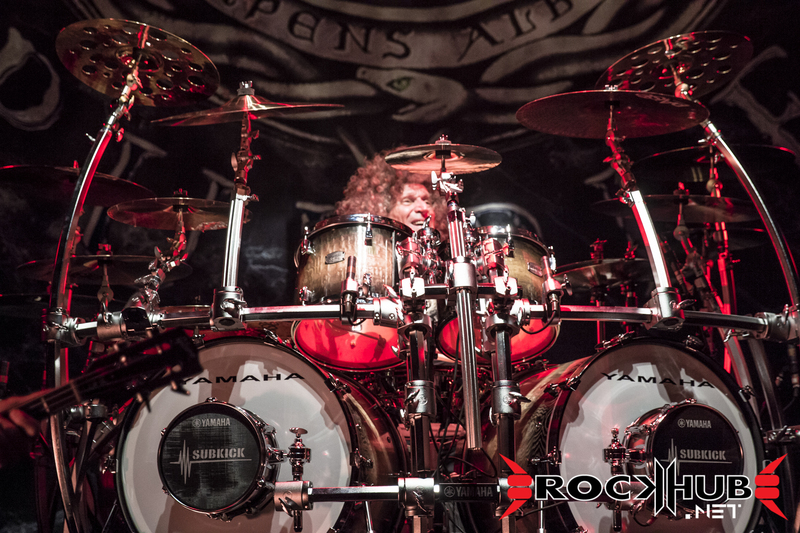 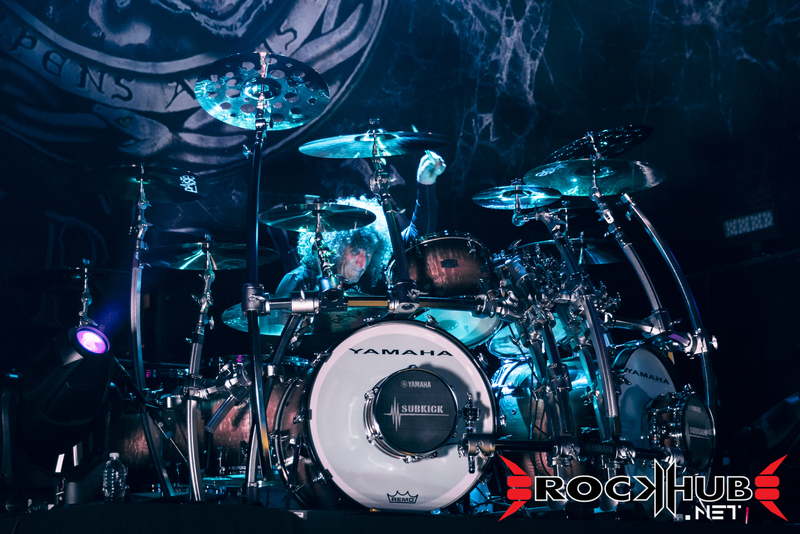 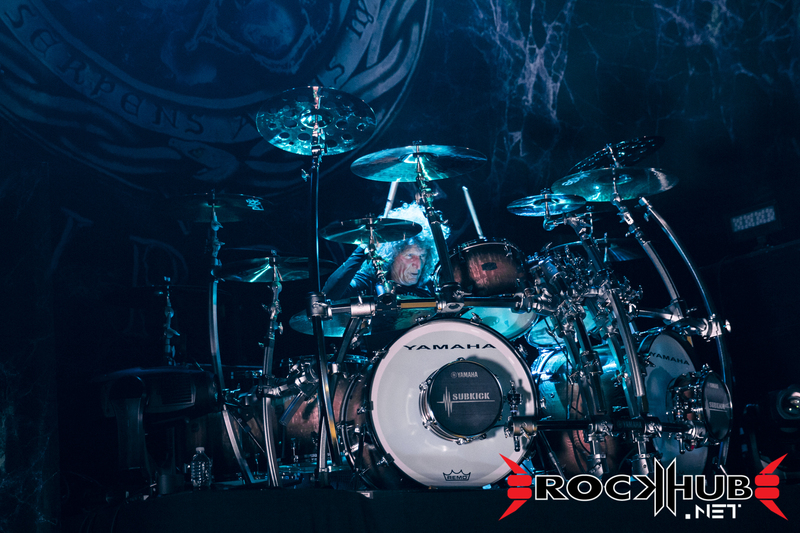 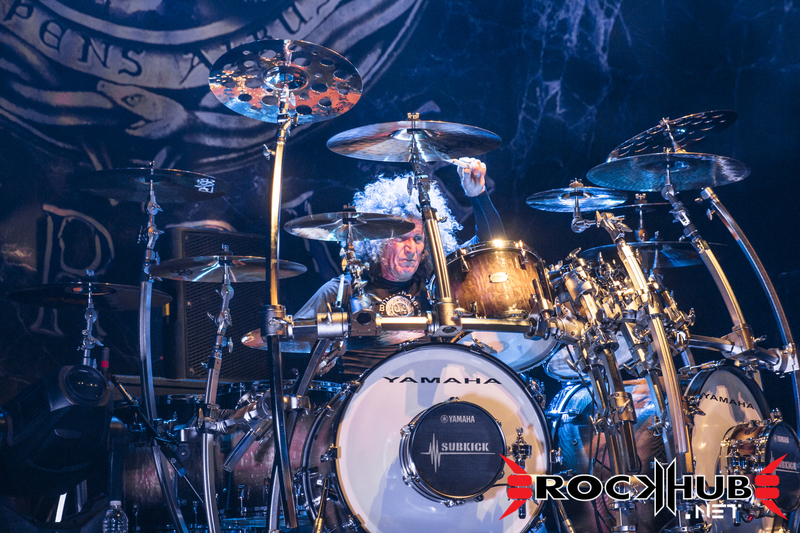 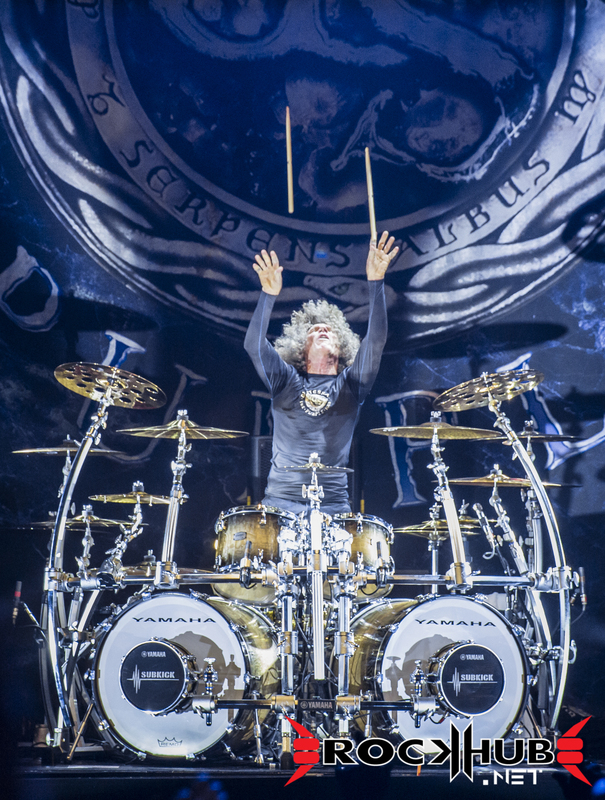 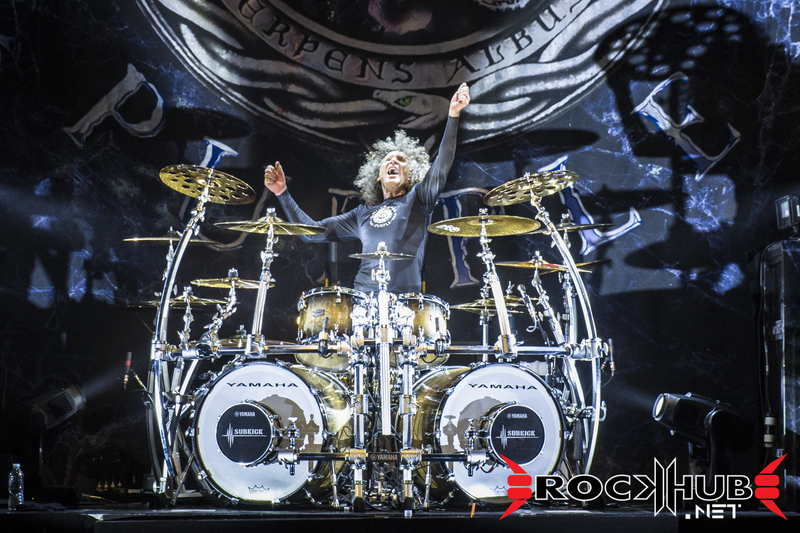 This was the case with drum legend Tommy Aldridge, who was simply stellar. 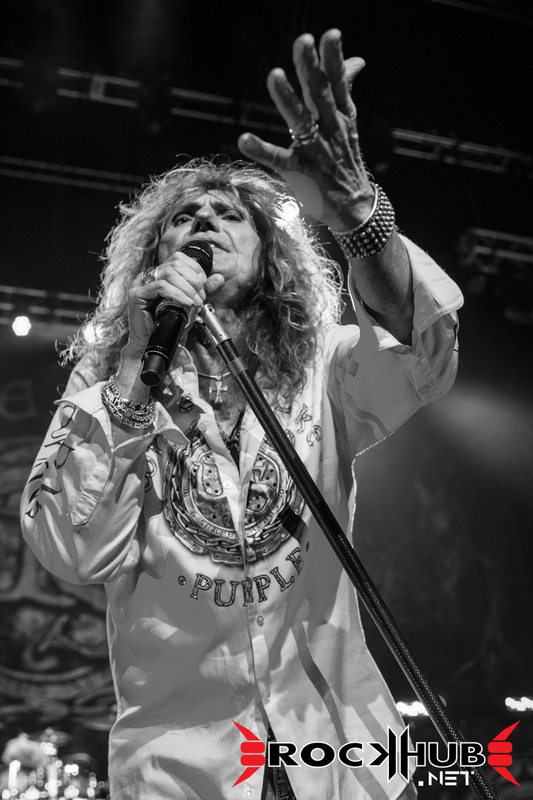 It is always an absolute pleasure to watch a master excel at his craft. 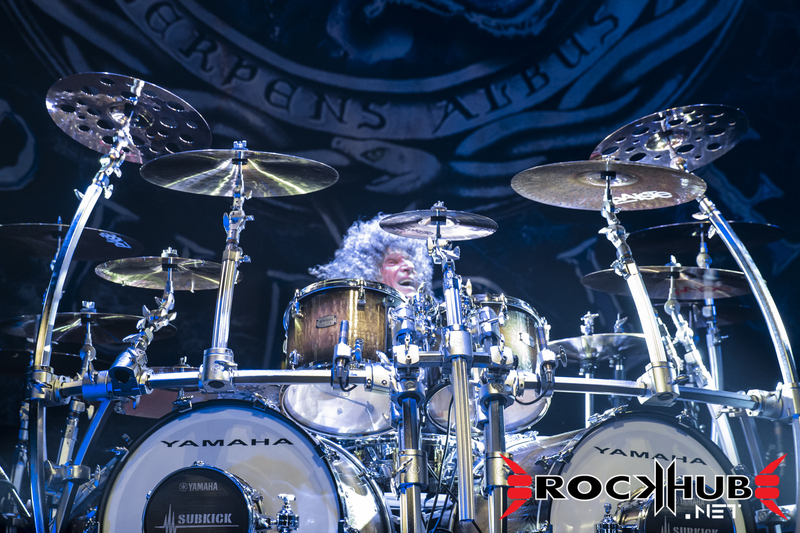 His drum solo was not only filled with the prowess we expect from a master such as him, but it was also ample with emotion on every hit of a drum head, pedal, or cymbal. 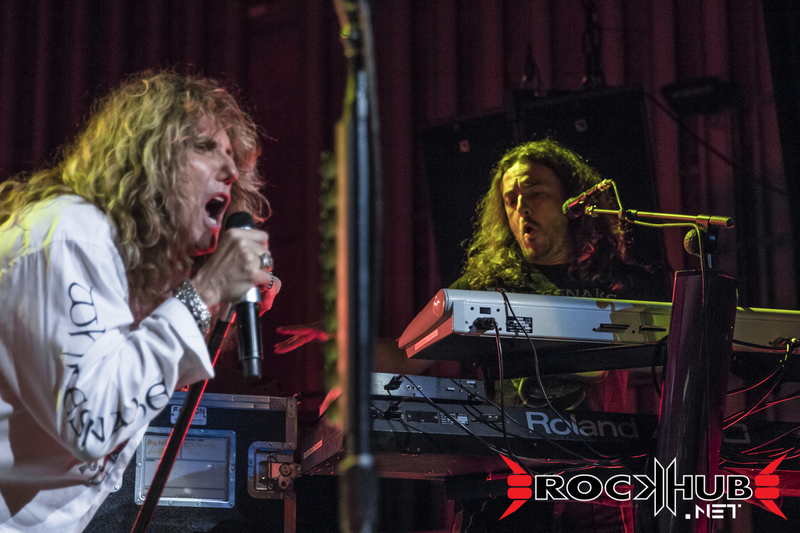 On the keyboards, Michele Luppi wonderfully provided those synth riffs we all know and love. 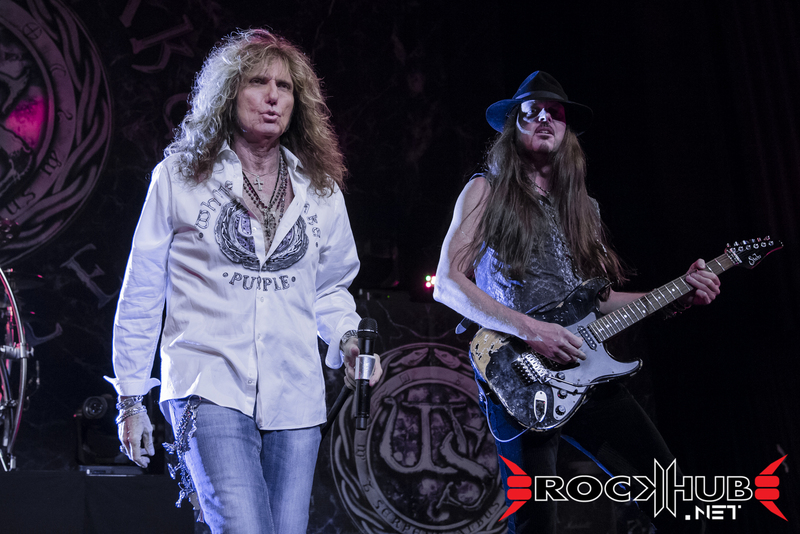 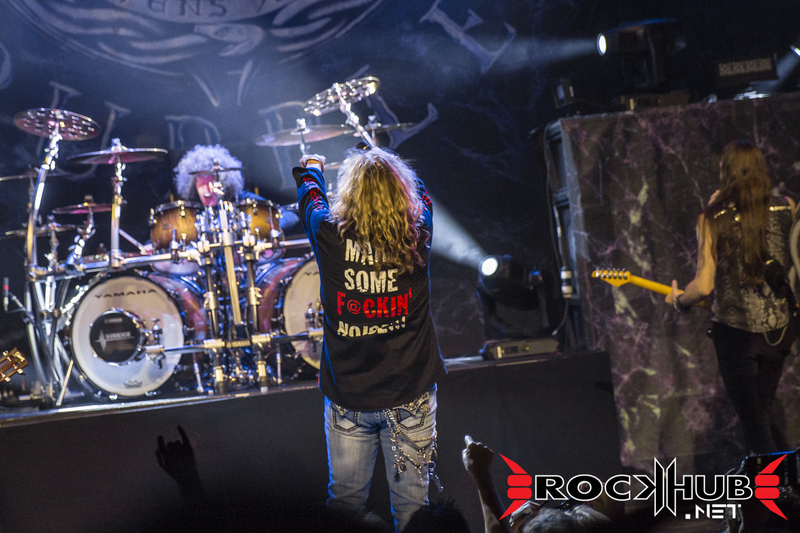 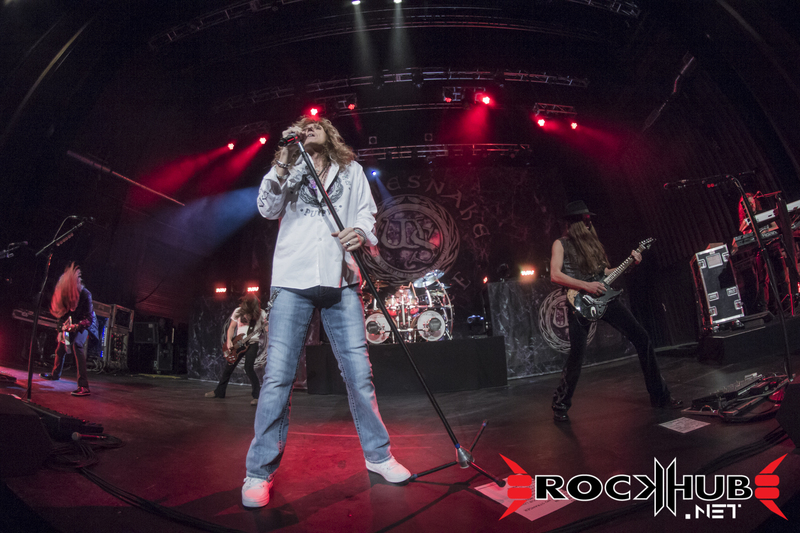 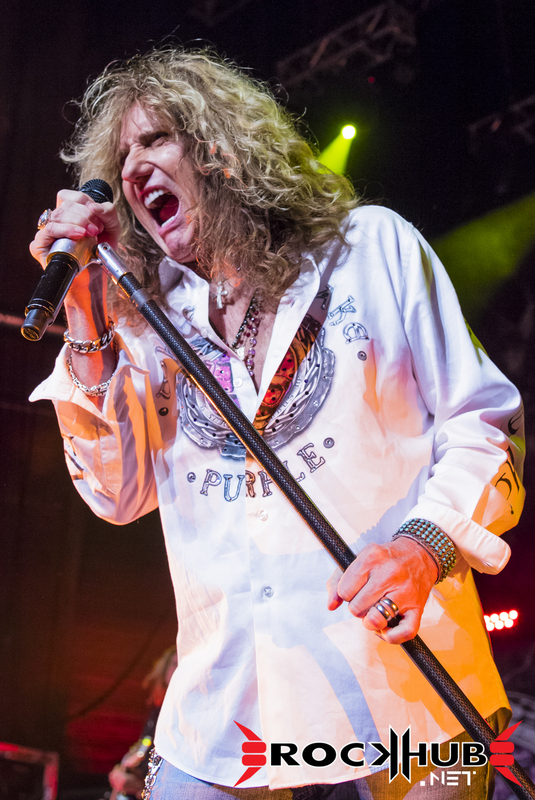 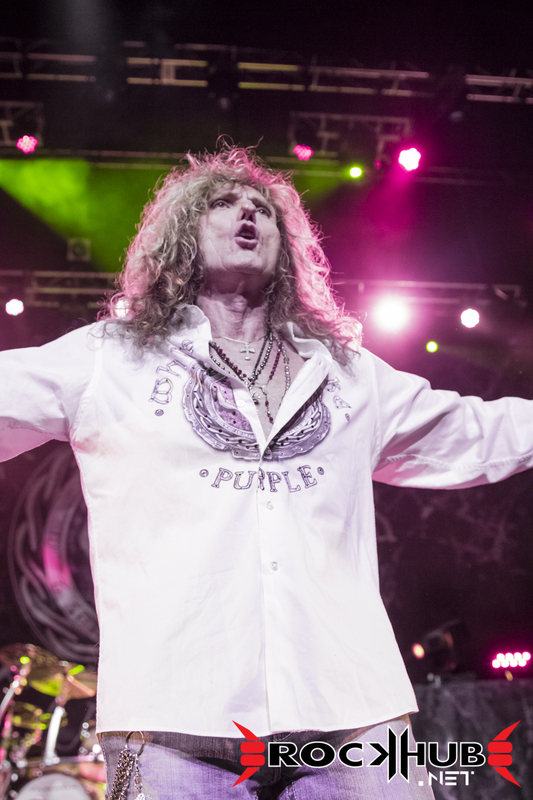 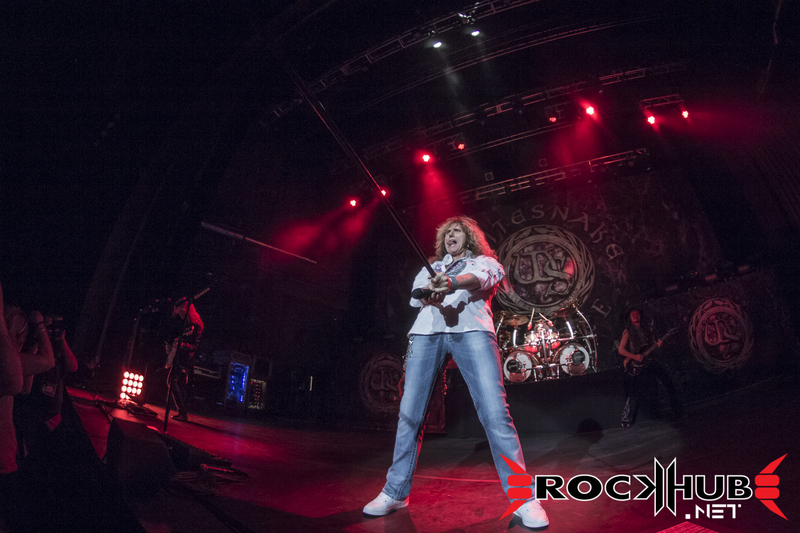 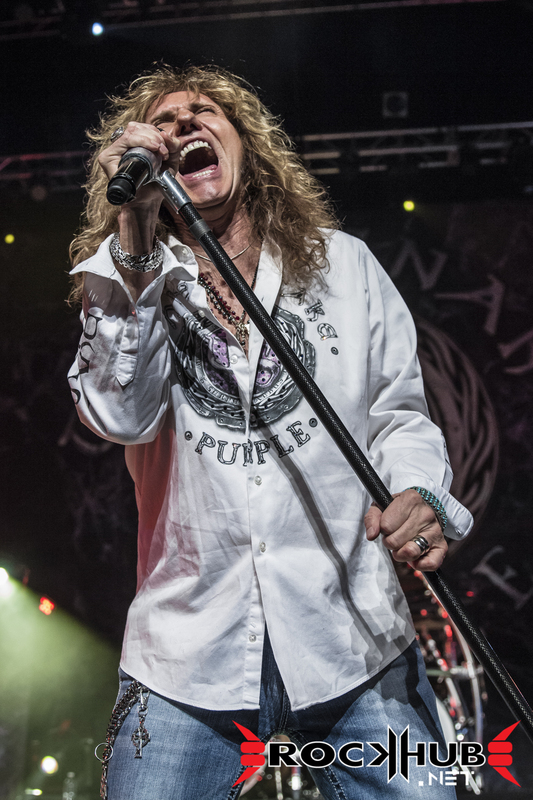 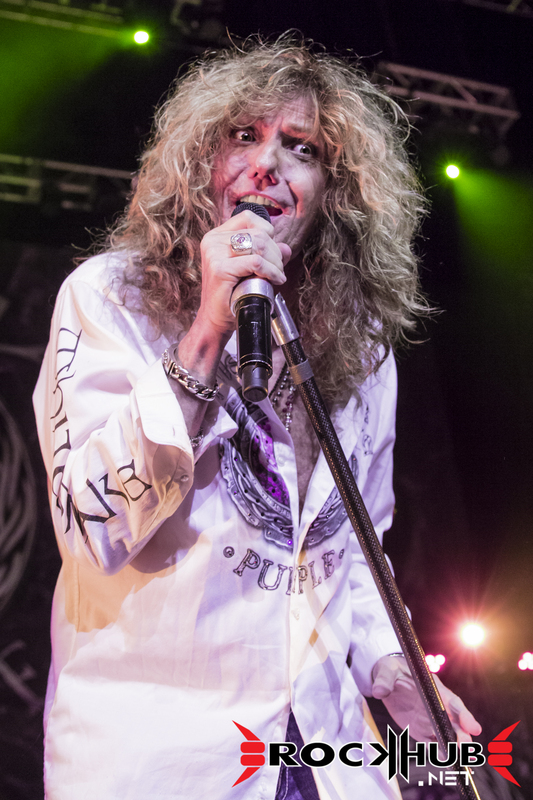 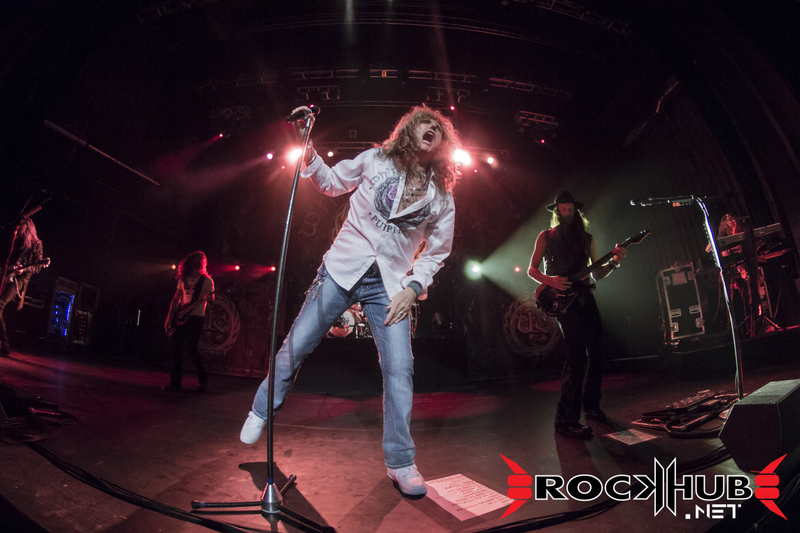 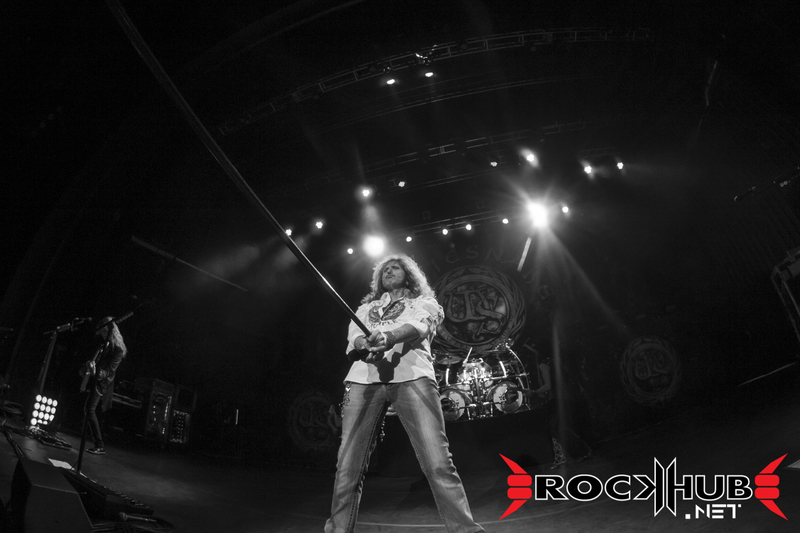 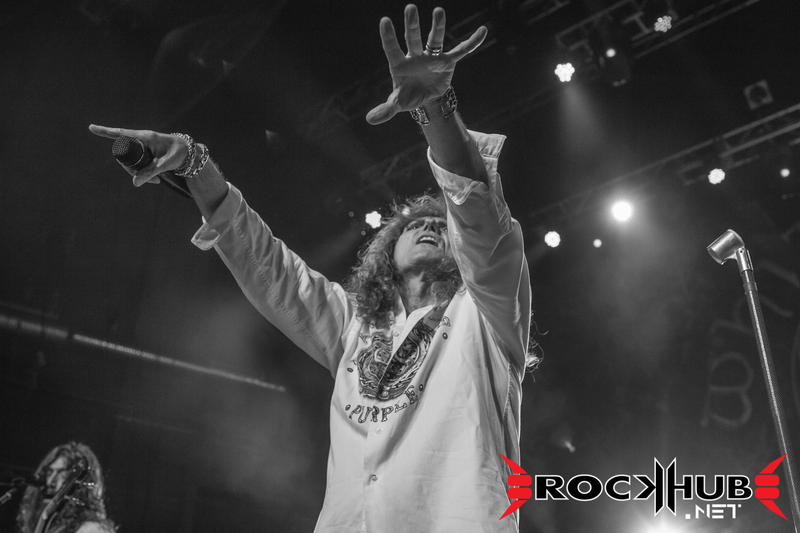 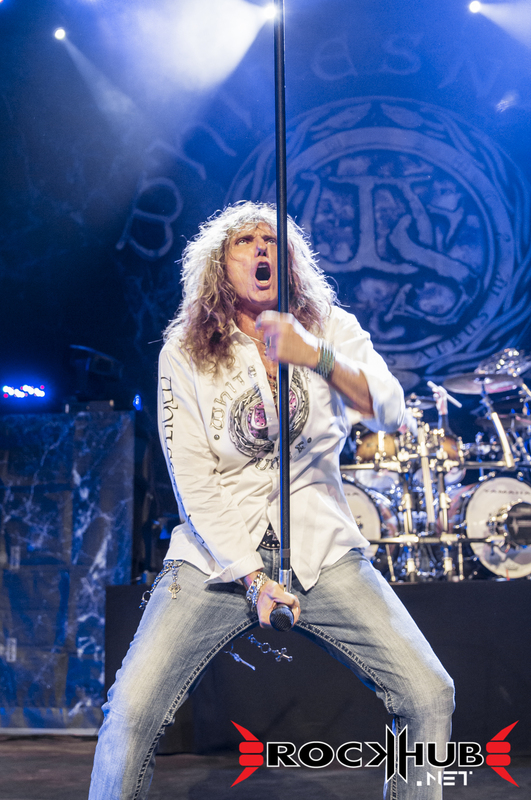 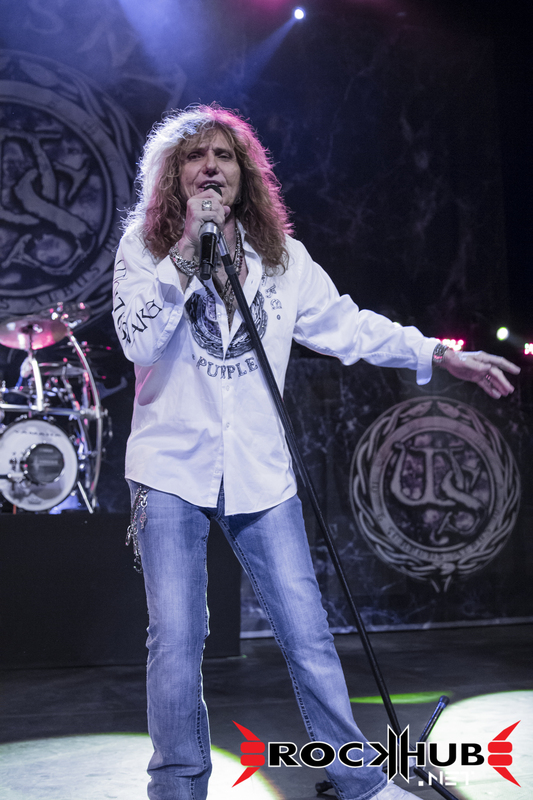 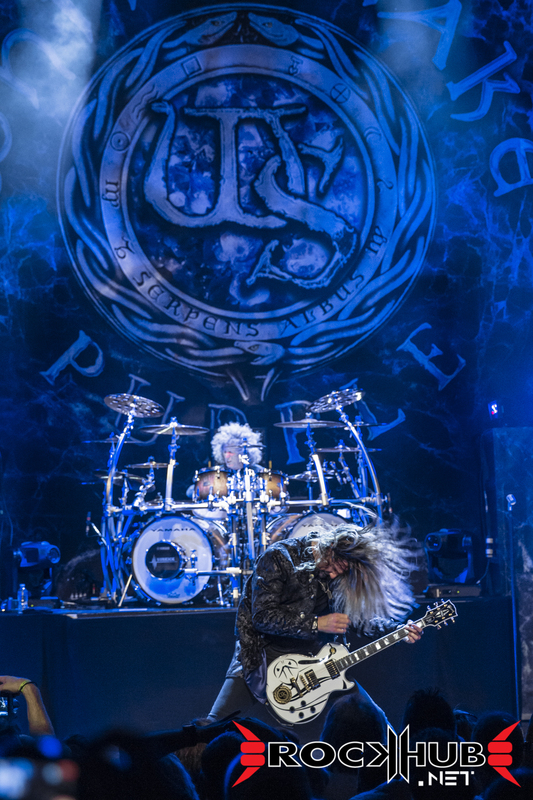 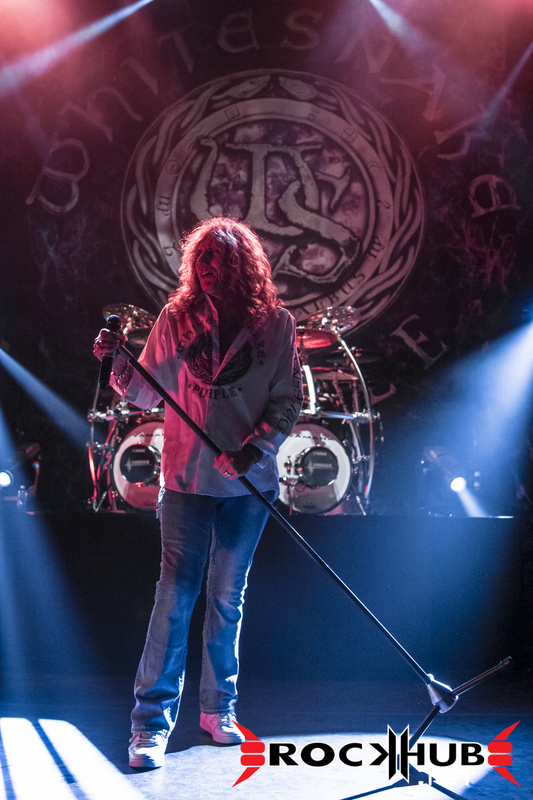 Mr. Coverdale’s stage presence is rivaled by next to no one. 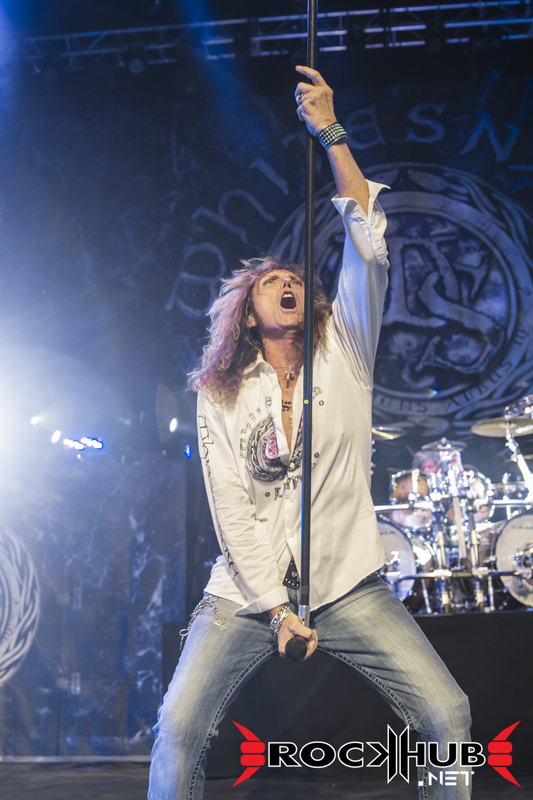 After many years behind the microphone, the veteran frontman can still command an audience’s attention with his signature moves and loud, solid vocals. 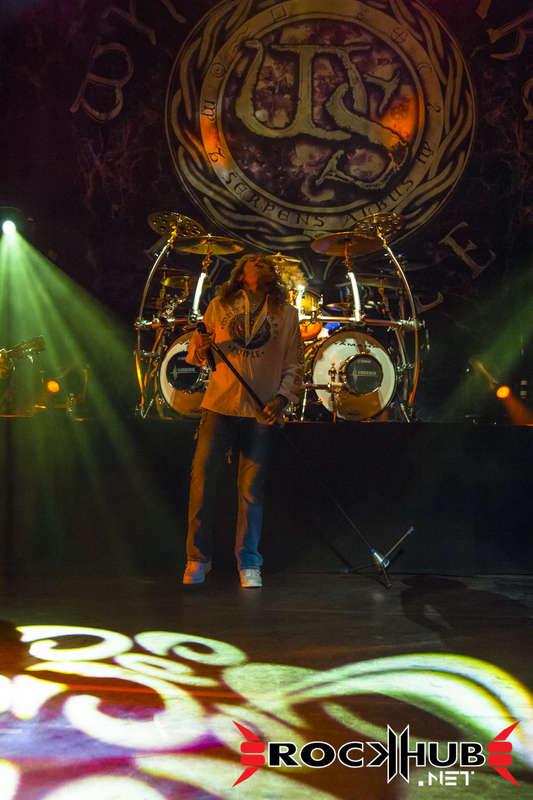 Every song had that Coverdale touch that made Whitesnake the world-class band that it is today. 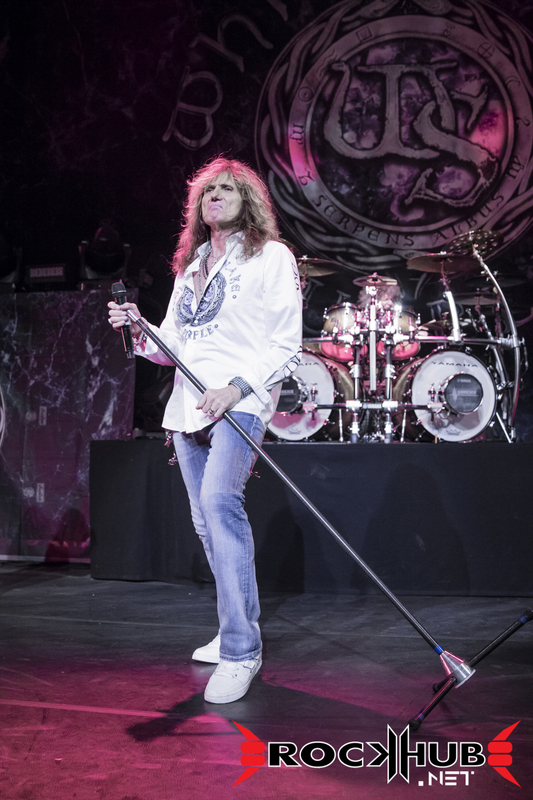 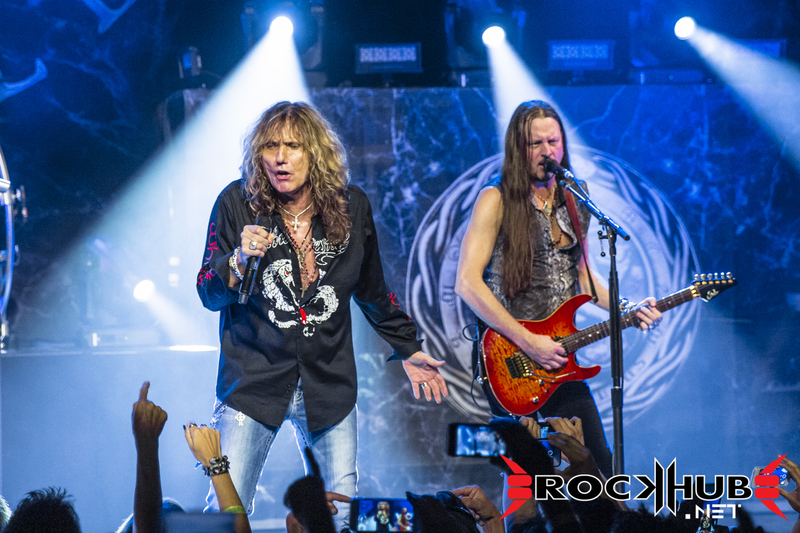 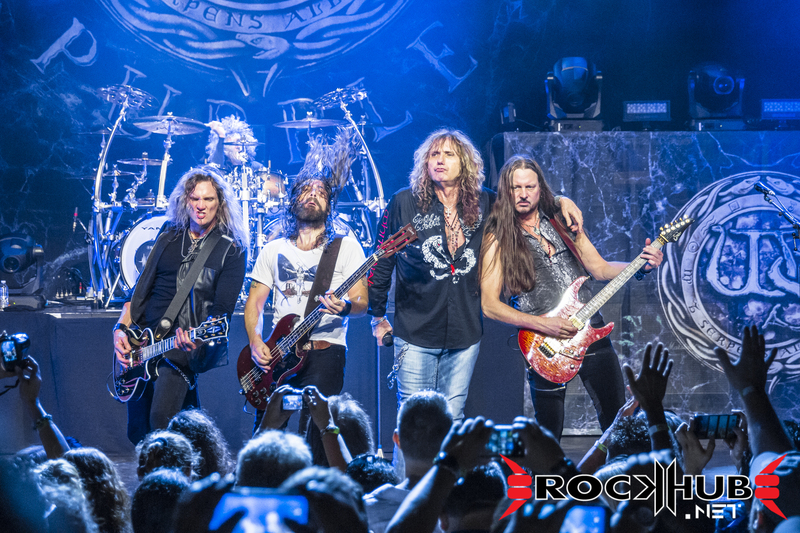 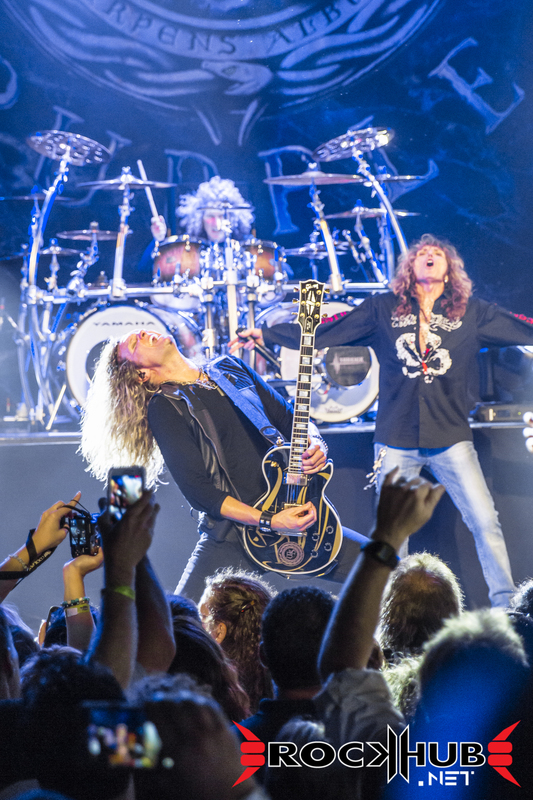 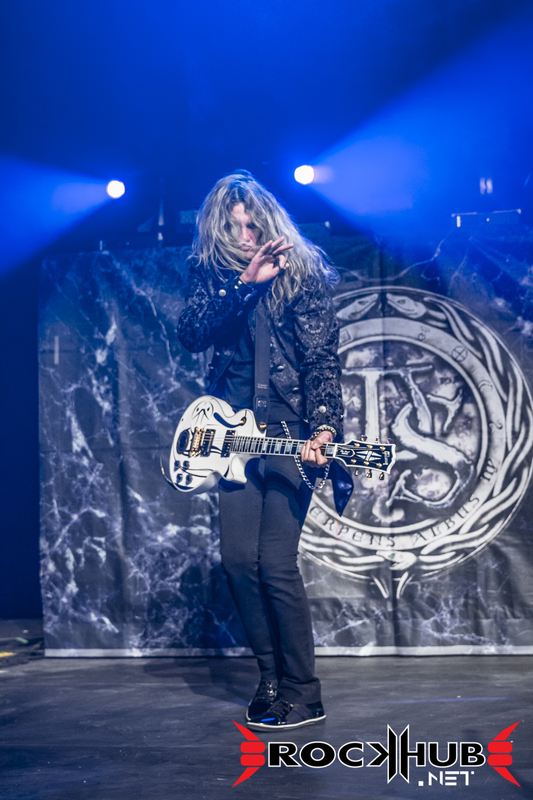 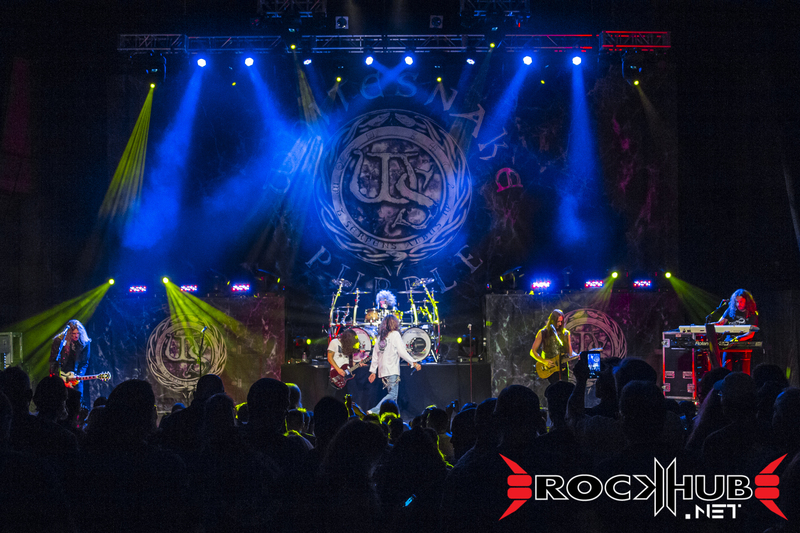 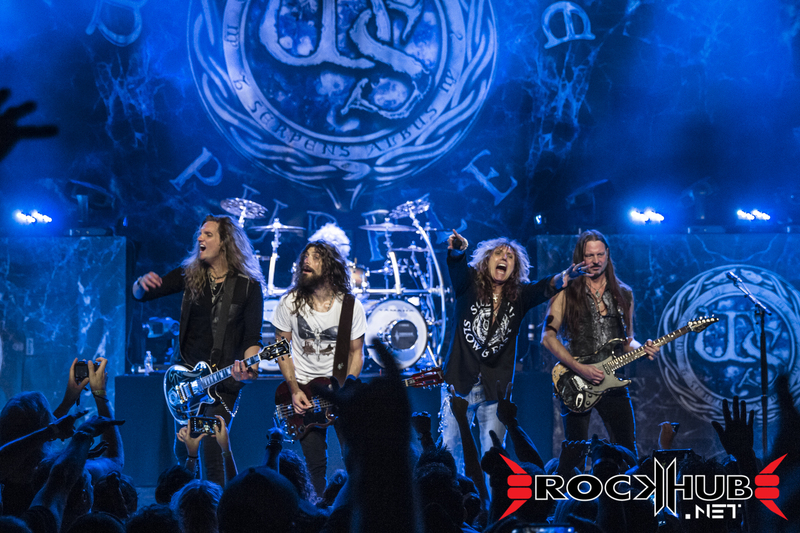 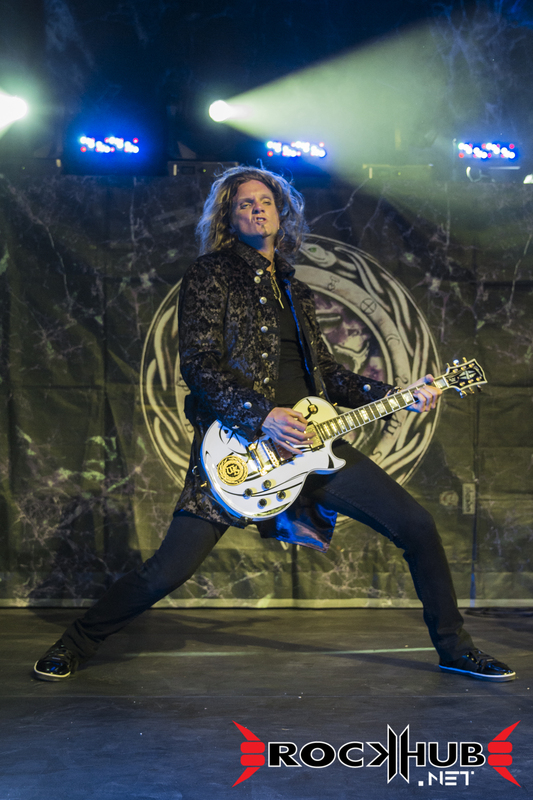 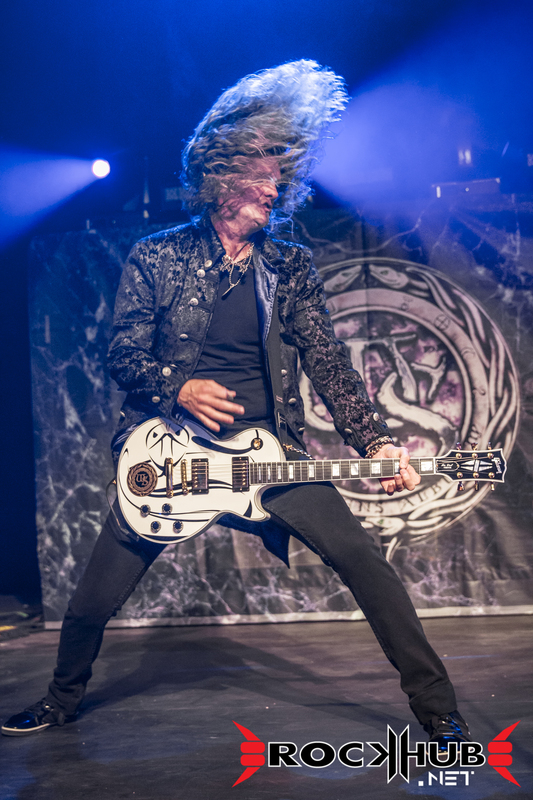 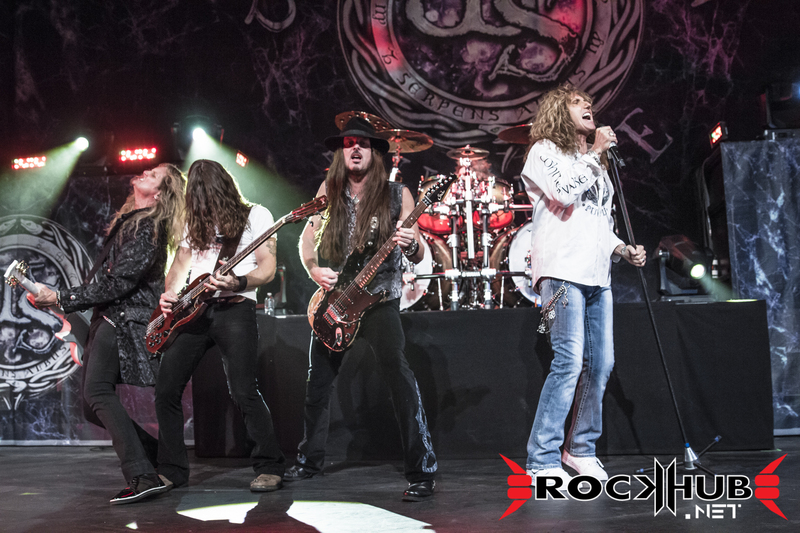 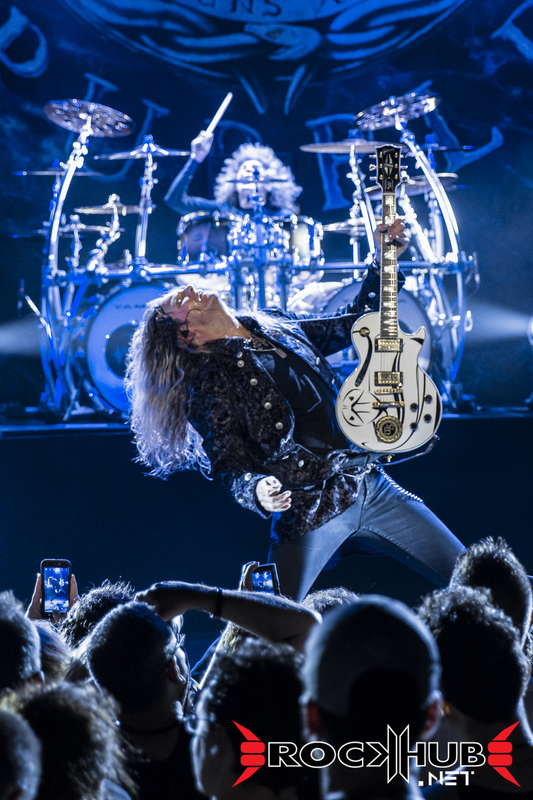 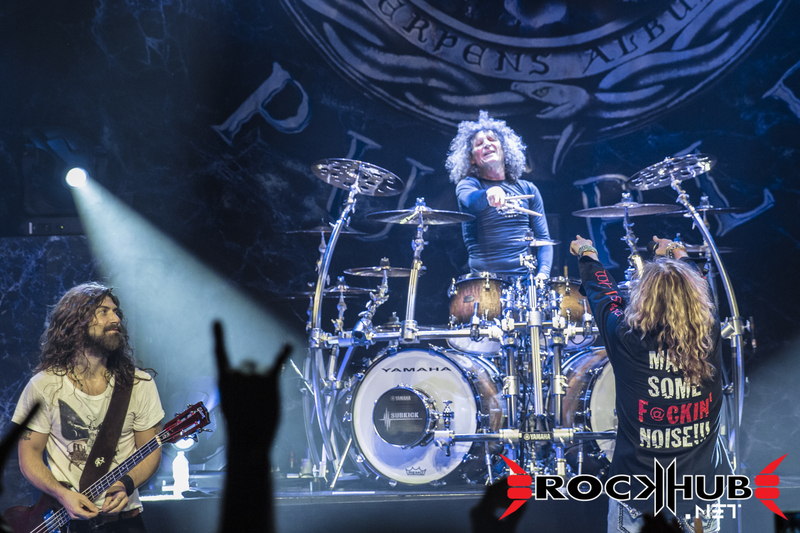 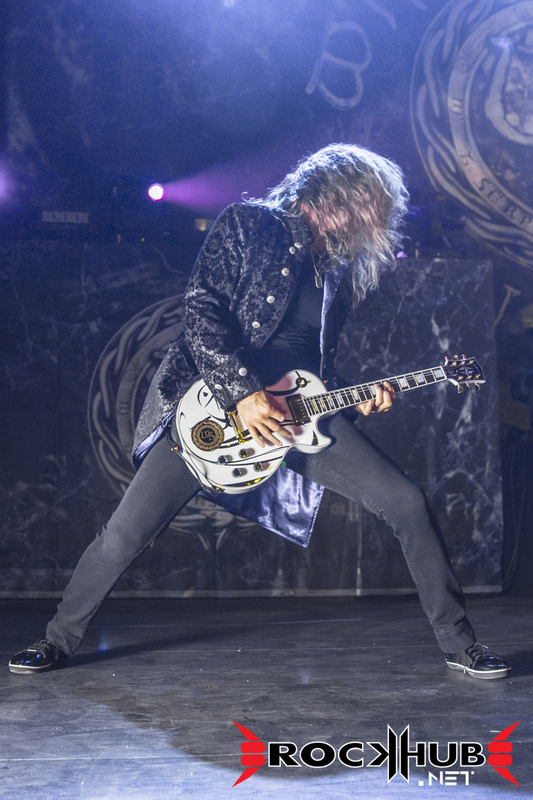 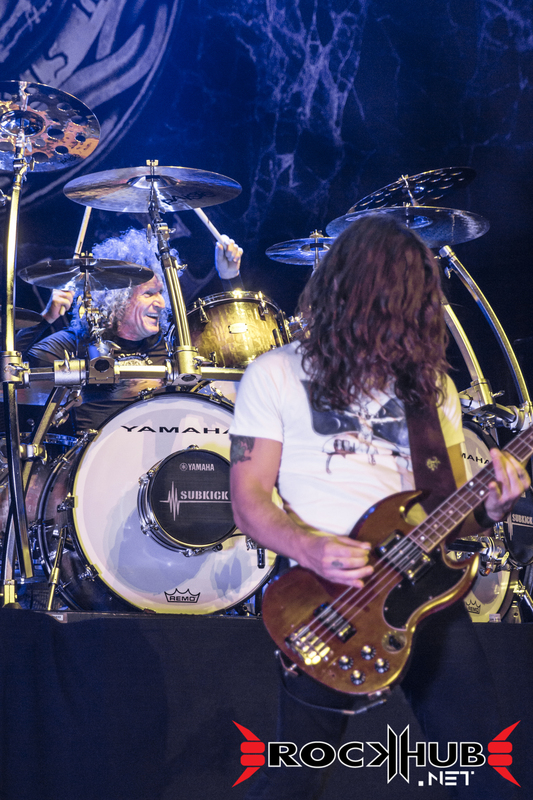 Gone are the days of sold-out arenas and million-dollar stage and lighting productions, but this has not stopped the Whitesnake machine from offering stunning performances to its loyal fans. 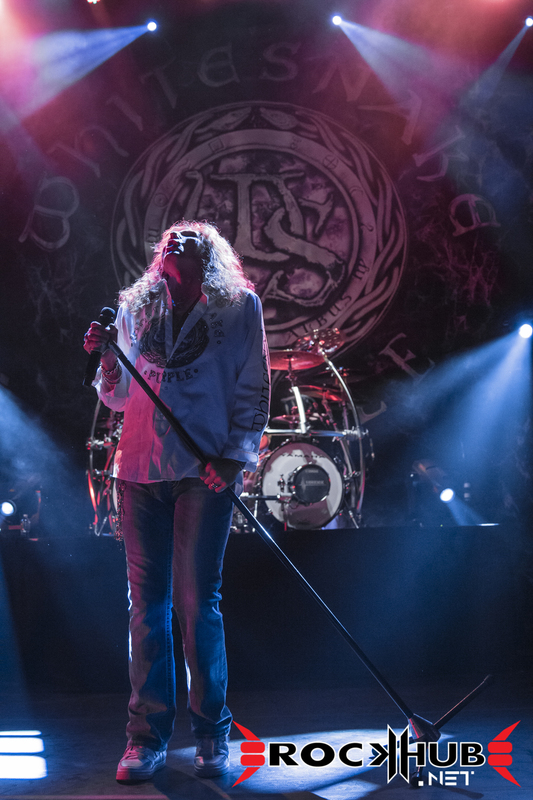 The night of July 28th was certainly one of those performances that all in attendance at the College Street Music Hall in New Haven, CT will talk about and remember for a long time. 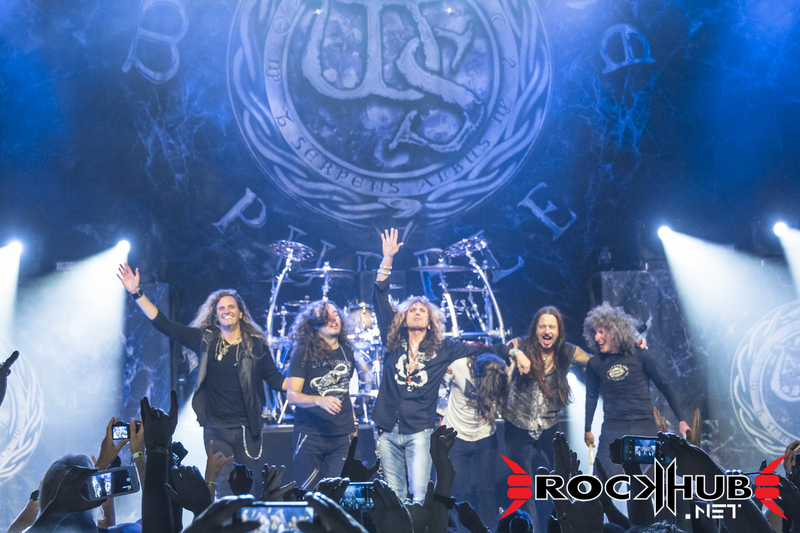 I am so glad that I was a part of it! 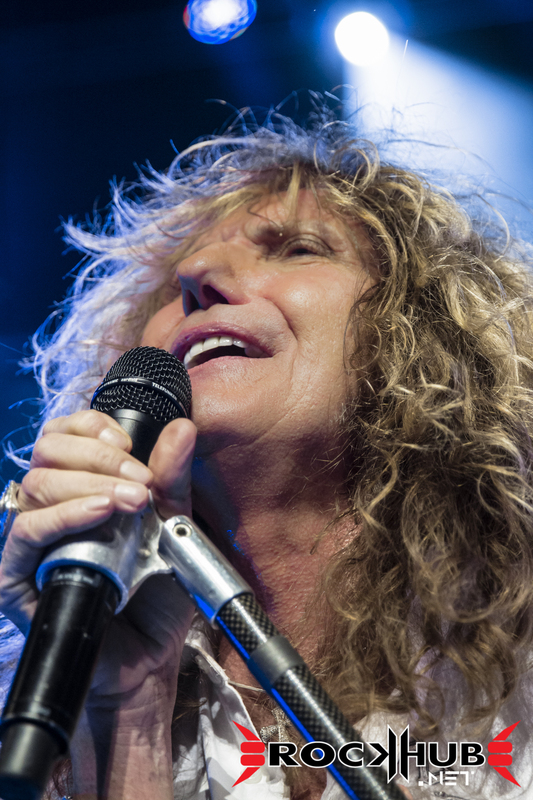 As always: like, share, and enjoy!